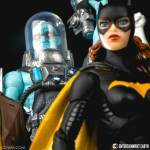 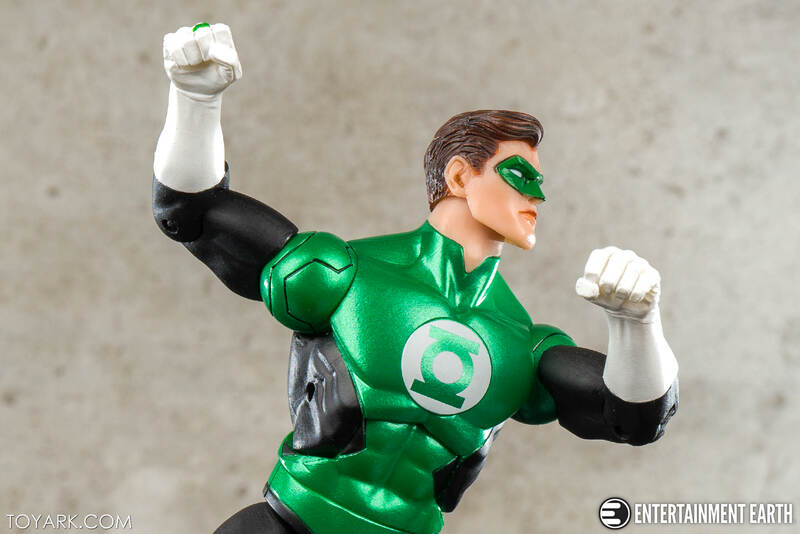 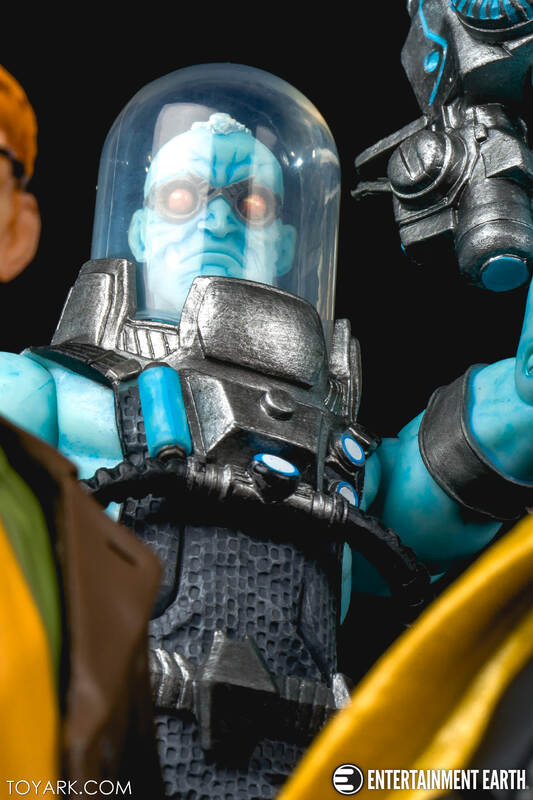 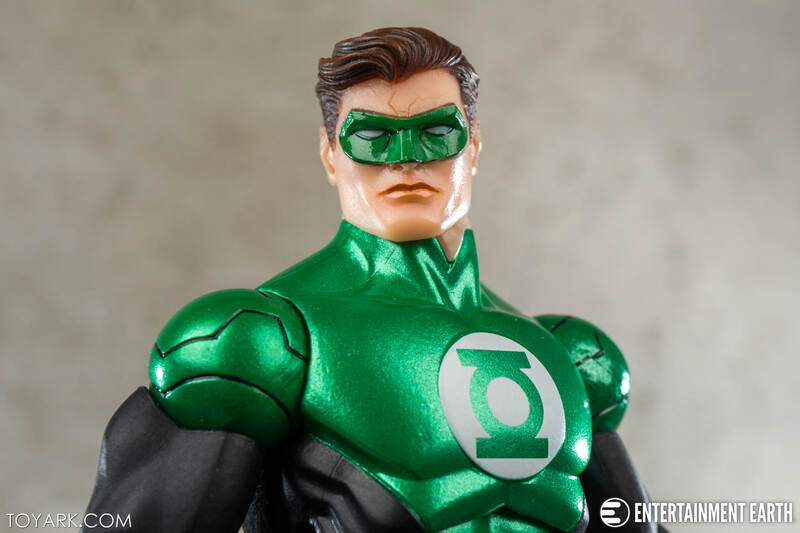 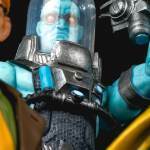 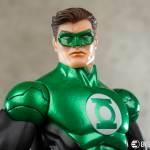 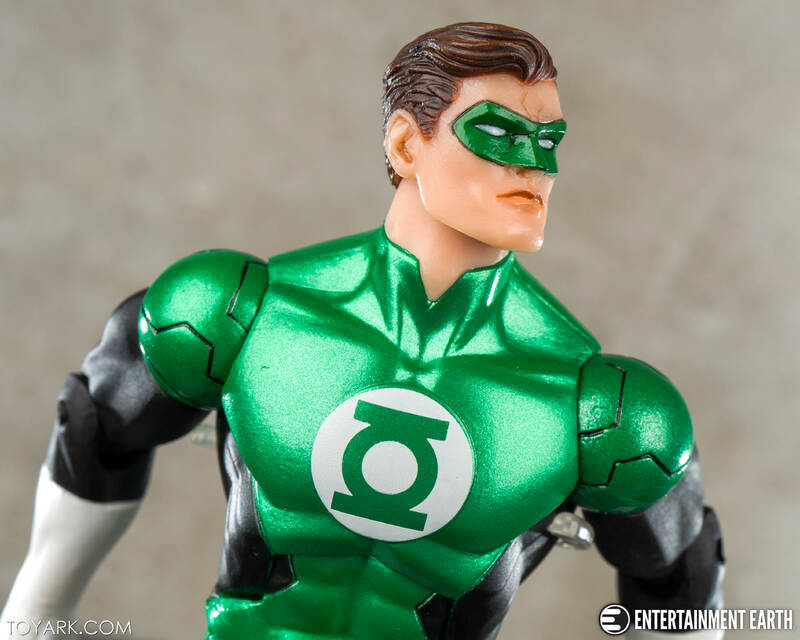 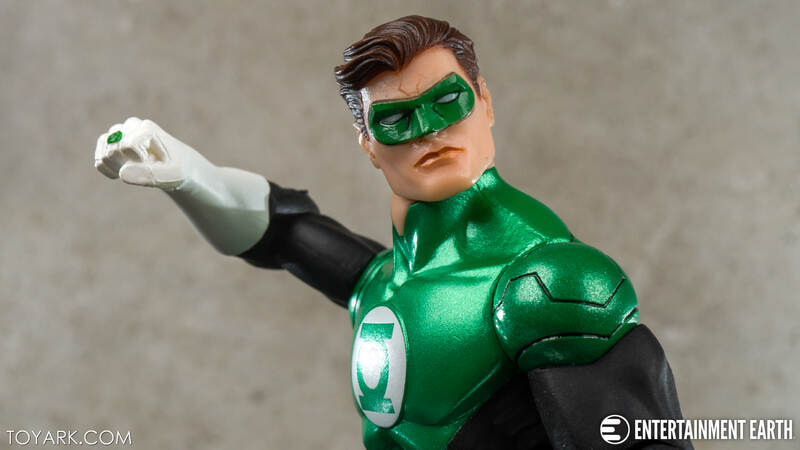 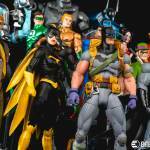 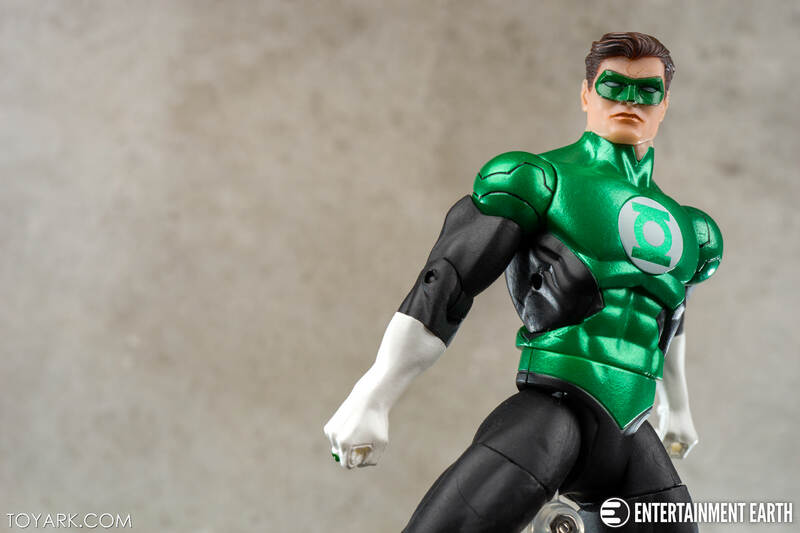 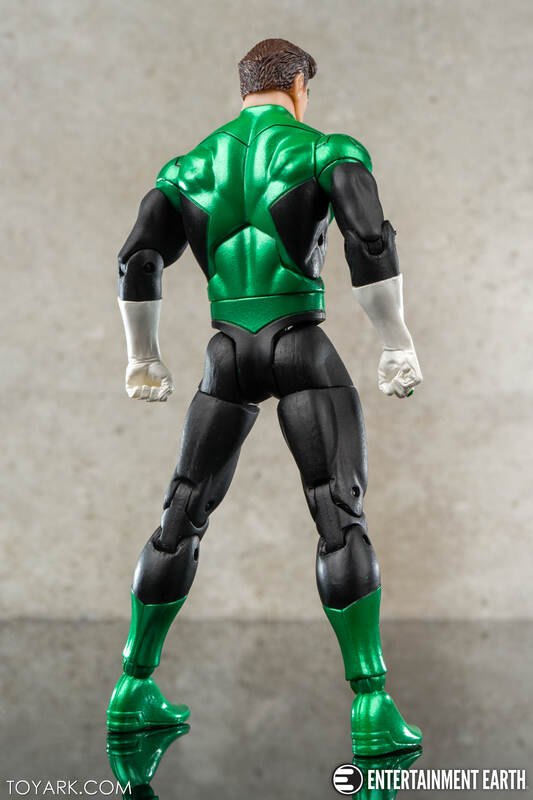 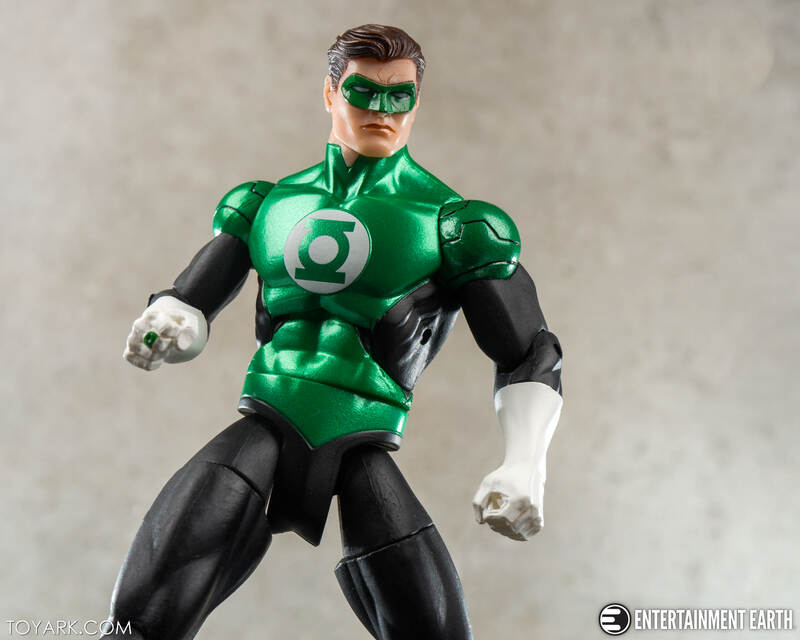 Today we are wrapping up our DC Collectibles Capullo Designer Series Galleries. 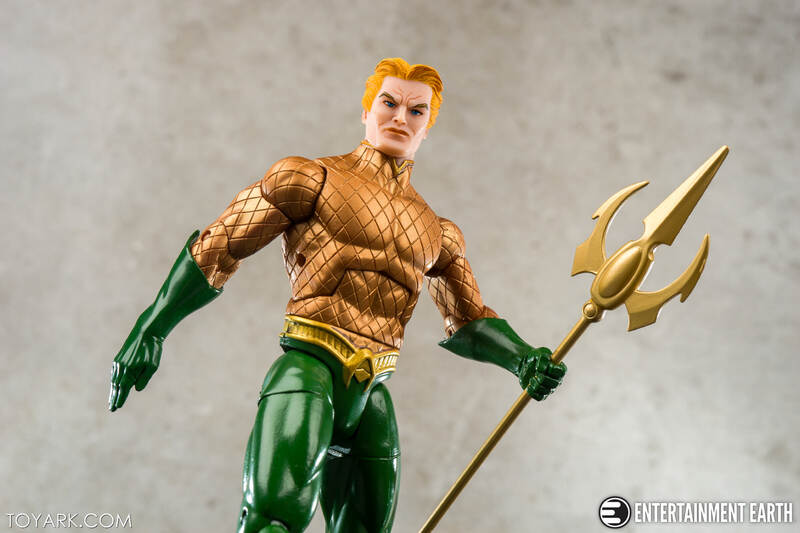 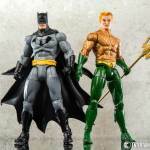 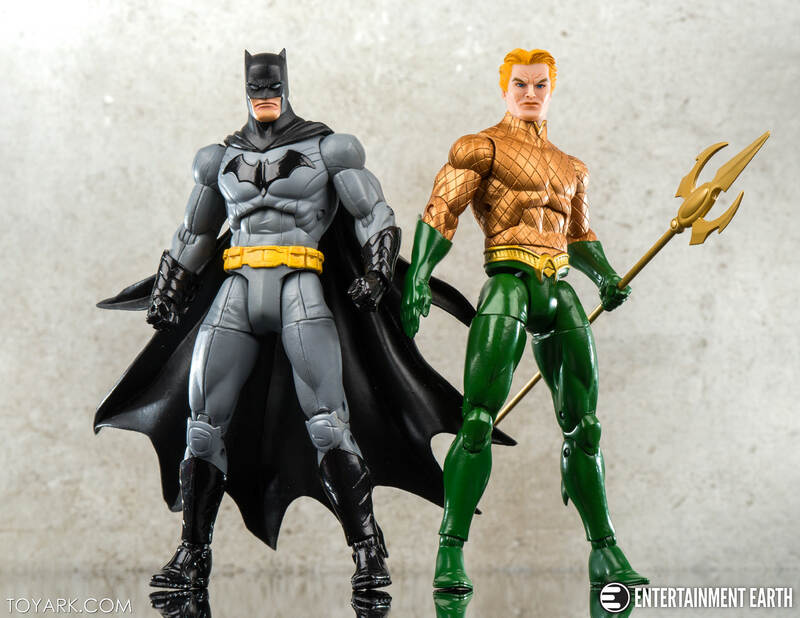 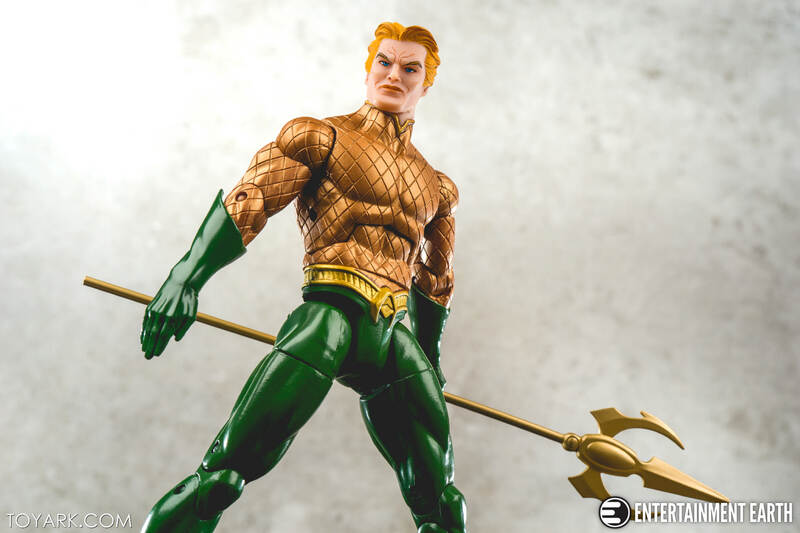 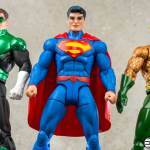 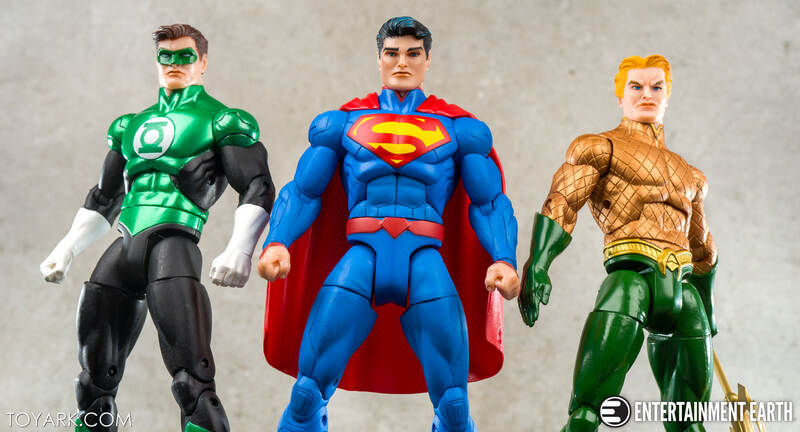 Superman, Aquaman and Green Lantern came out near the end of last year and it’s taken us a bit to get them shot for the site, but the set is finally complete! 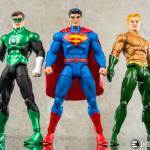 These three join Wonder Woman and Flash to finish their Justice League offerings. 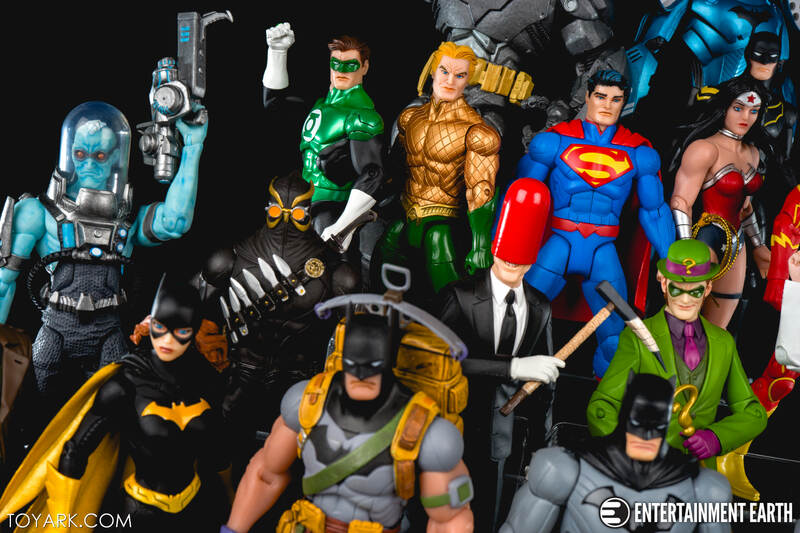 No sign of Cyborg at the moment :(. 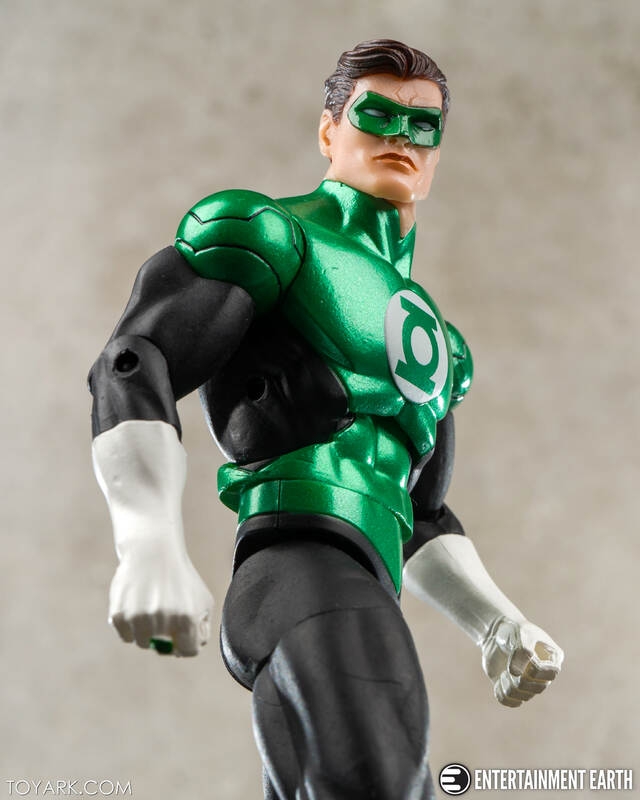 The Capullo Series started back in 2014 and has continued on, extending past it’s original intent several times. 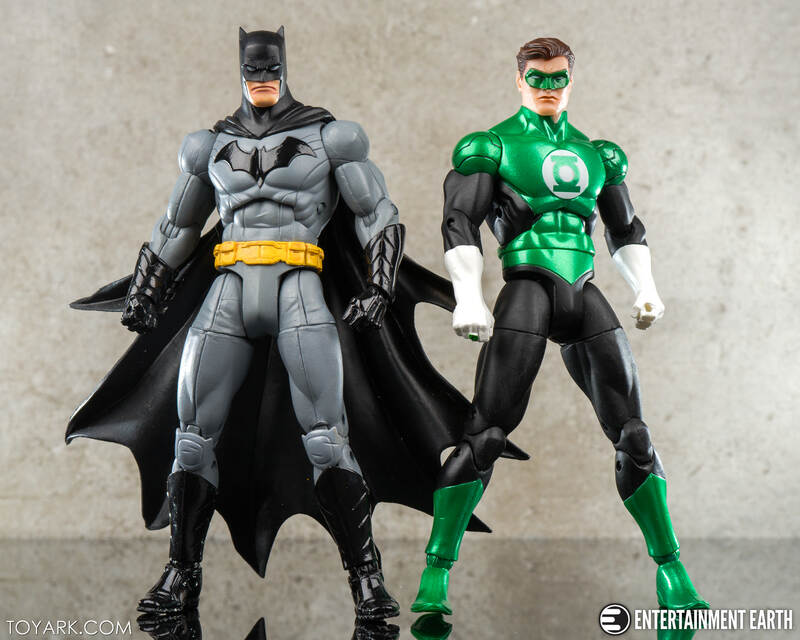 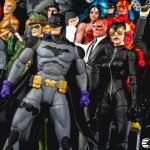 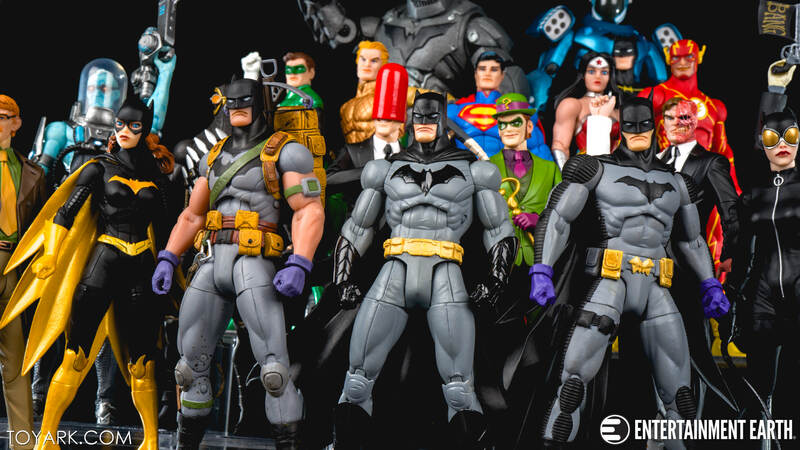 These are 7 Inch scale, beefy cut figures meant to capture the design style of artist Greg Capullo, who ran the entire New 52 Batman comic book run. 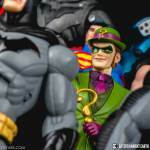 Folks may have strong feelings about the New 52 era, but most will admit the Capullo run for Batman was a gem. 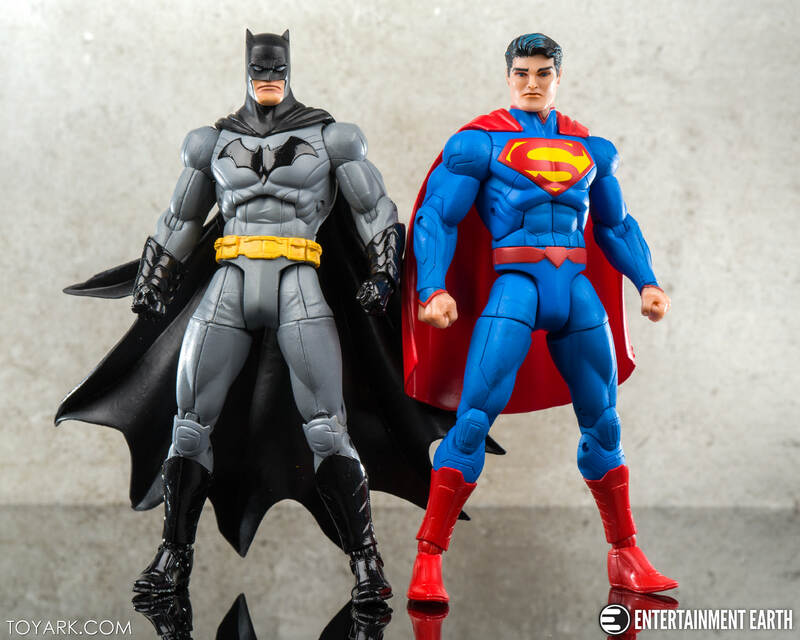 And these figures celebrate that well. 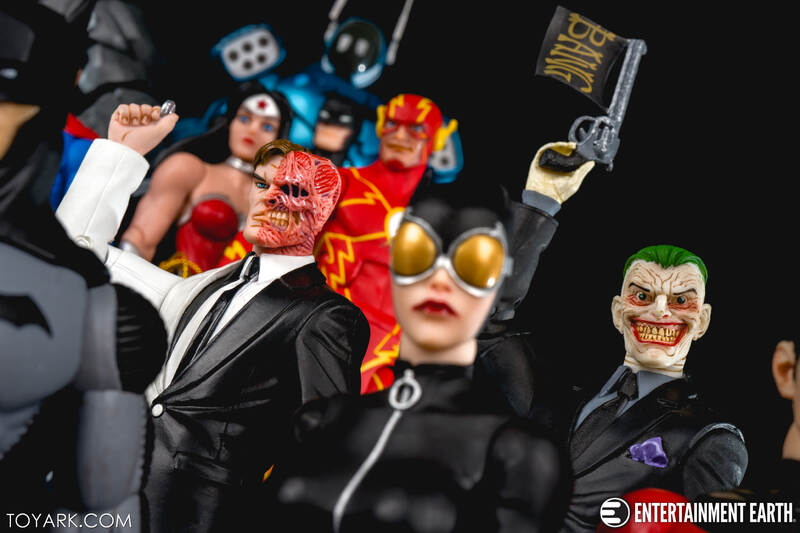 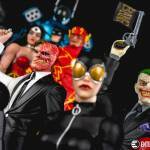 As of now, no other Capullo figures are scheduled, but you never know with DC Collectibles, we might get another wave down the line! 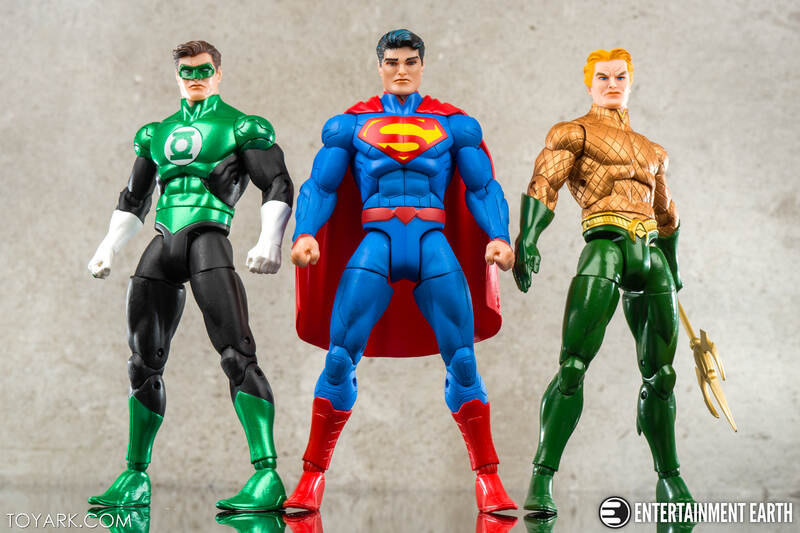 Read on to check out over 75 HD images of these three in action, plus a nice big group shot of the entire Designer Series line up after the break courtesy of site sponsor Entertainment Earth! 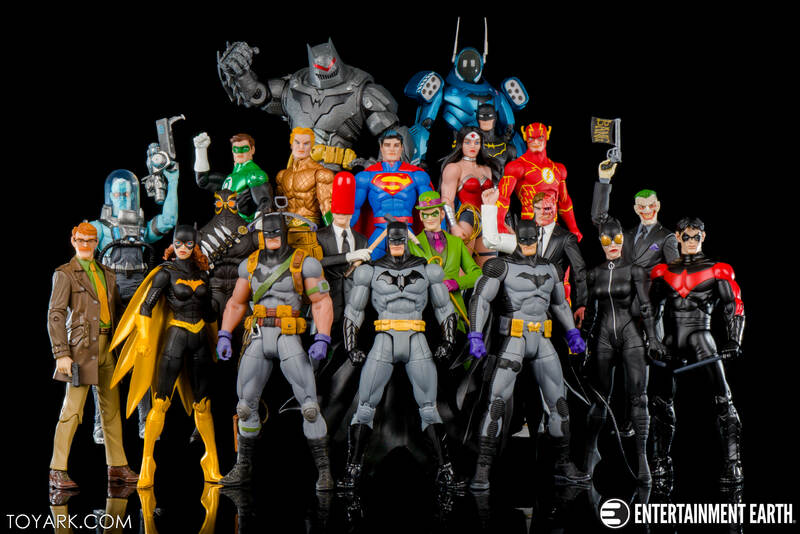 Related Entertainment Earth Links: All Capullo, All Designer Series, All Batman. 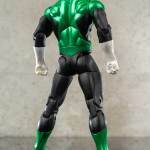 I’m going to use this to look back on the line overall rather than Superman, Green Lantern, and Aquaman specifically. 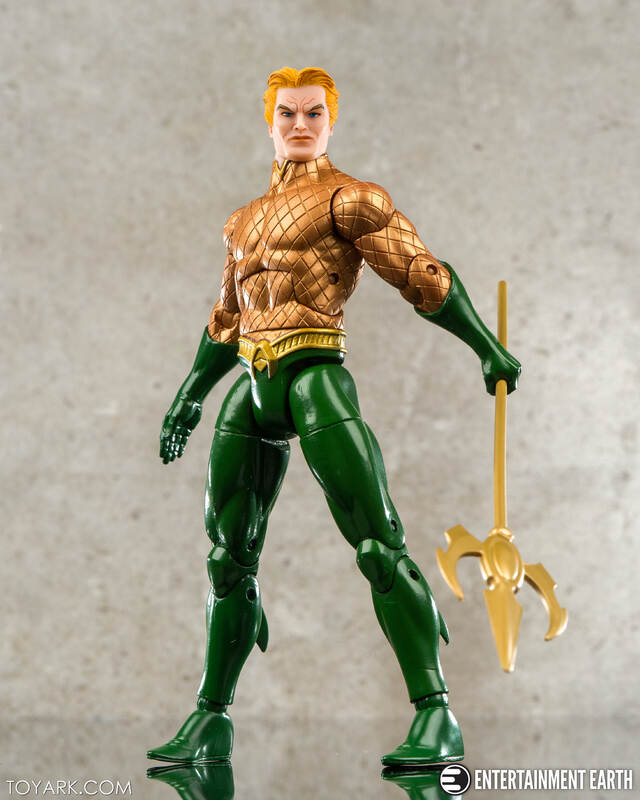 Quickly on them though – they weren’t my favorites. 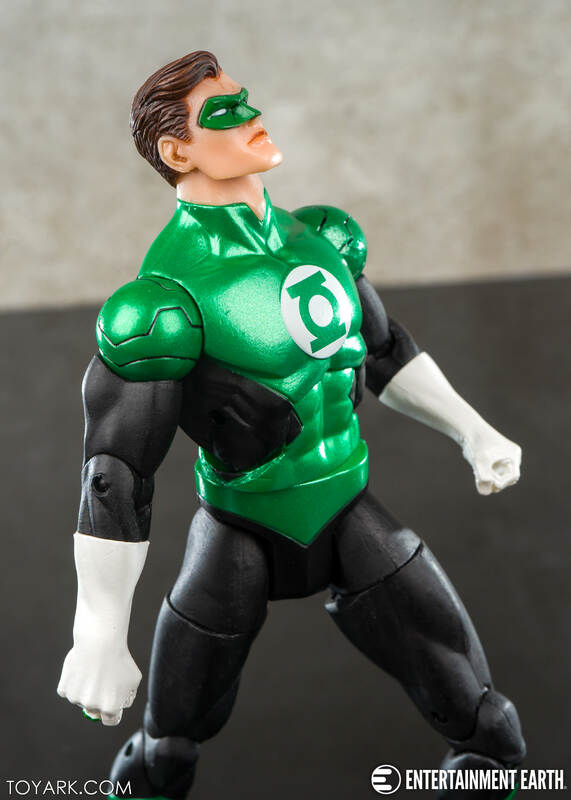 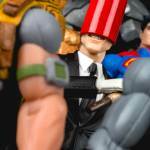 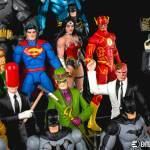 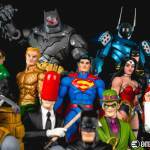 All of the Justice League offerings in Capullo figure format were a bit too stylistic for me. 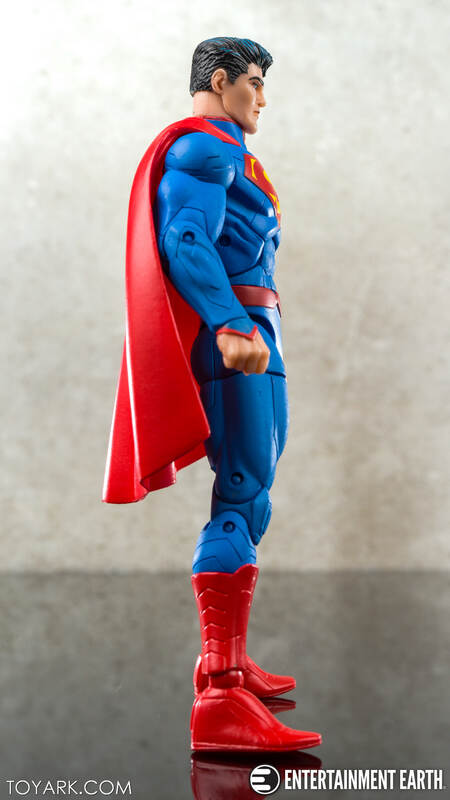 I like the beefy stance, but their face sculpts were too unique for general rotation. 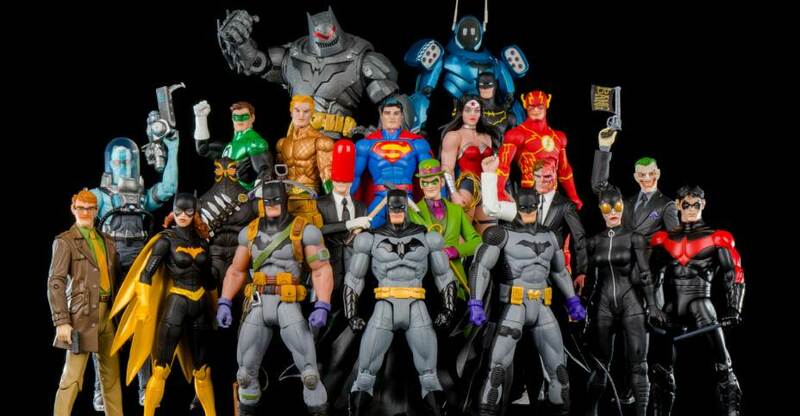 I would have preferred Batman specific characters in their place. 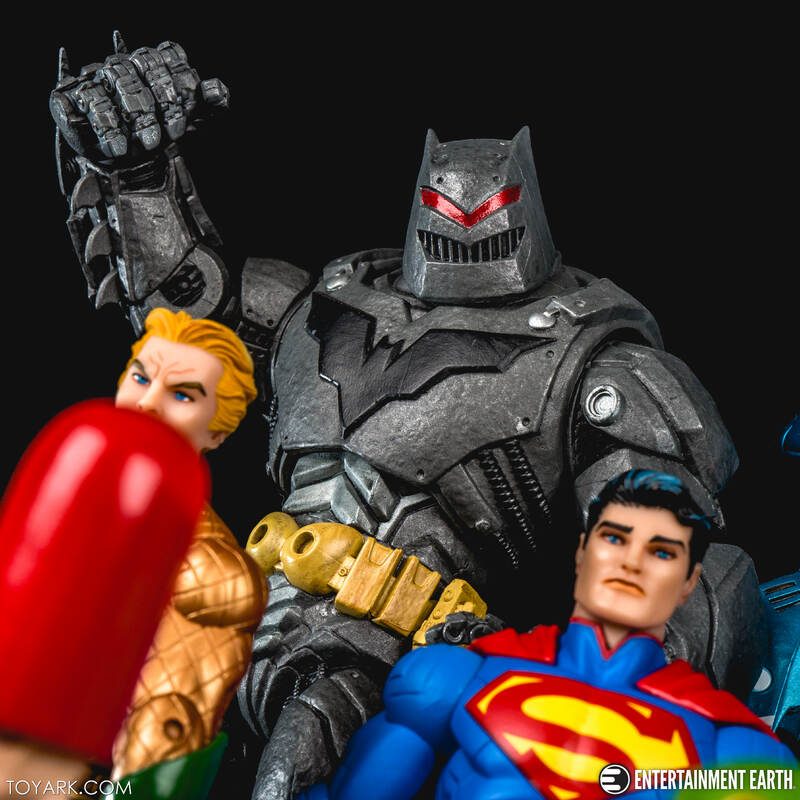 Plus, no Cyborg. 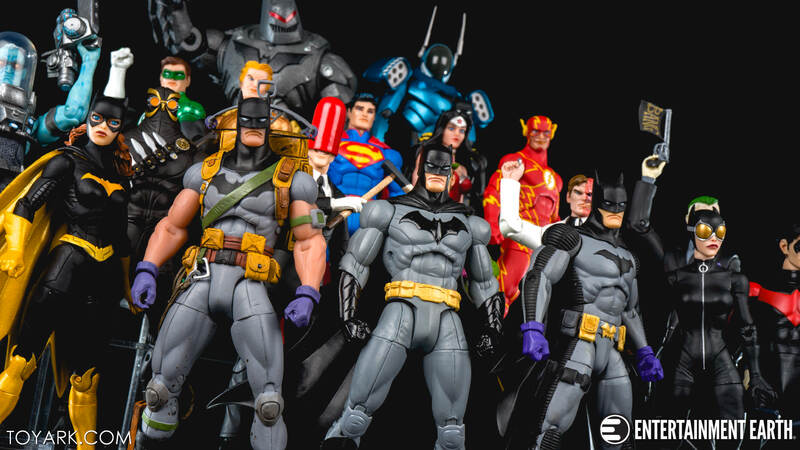 I pulled all these guys out for the below group shot, and wanted to comment on the line overall. 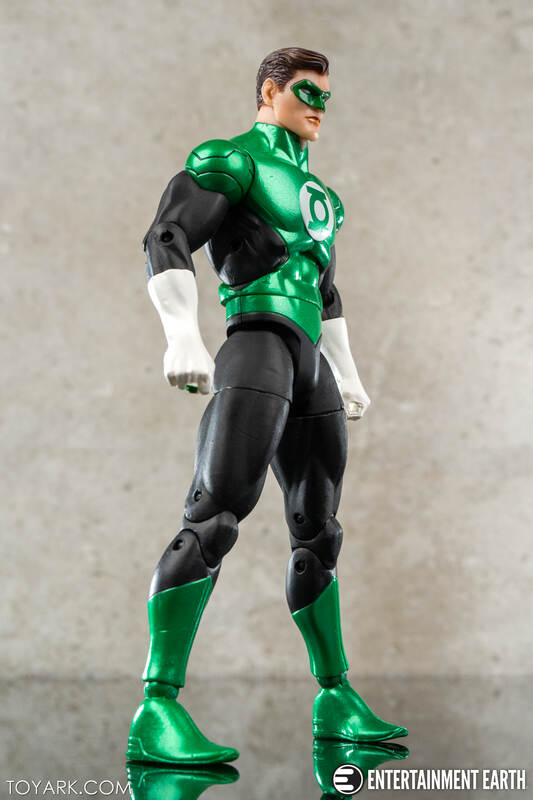 After experiencing DC Icons, the Arkham Series, and even Mattel Multiverse, I do prefer this larger 7 inch muscular cut. 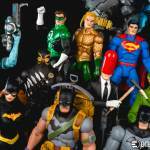 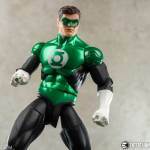 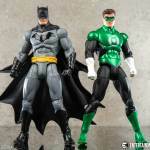 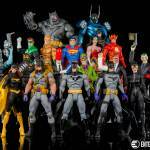 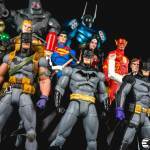 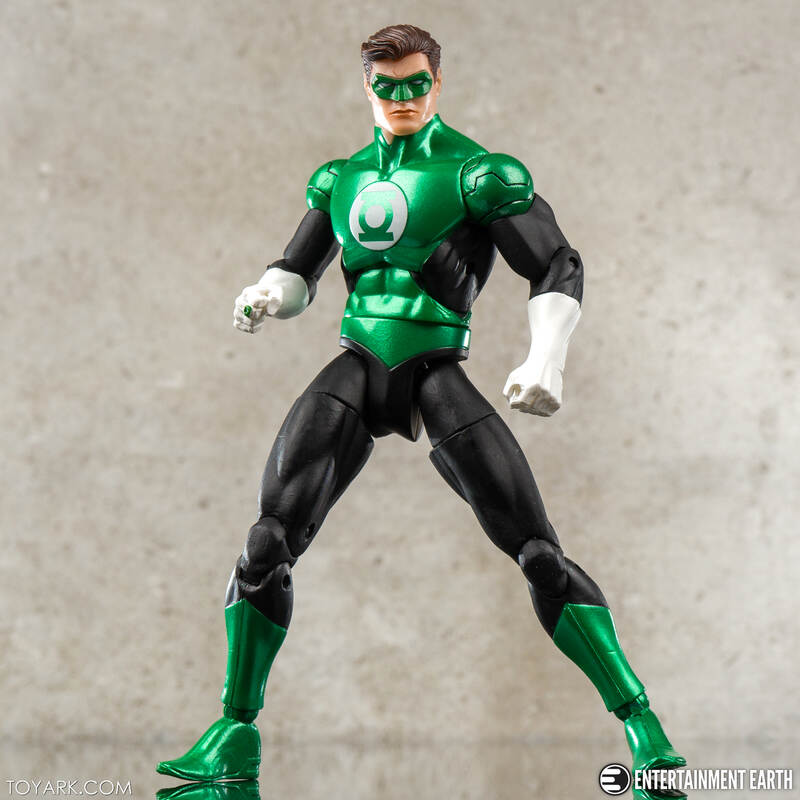 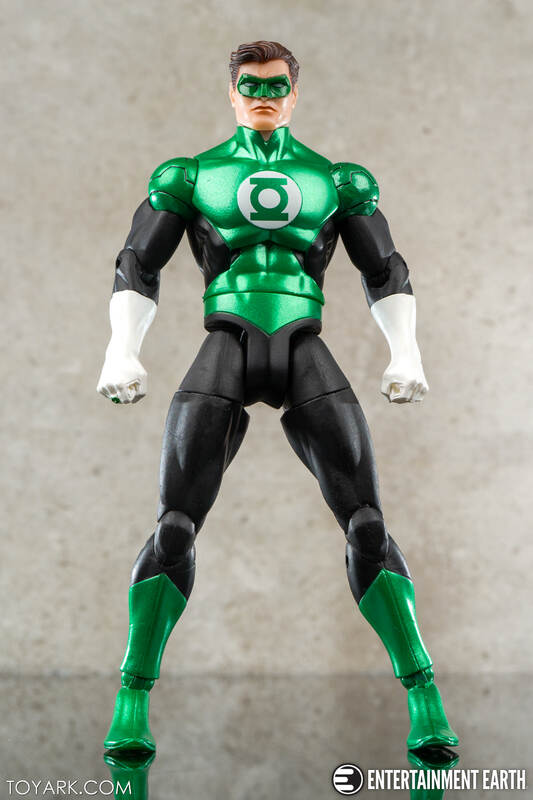 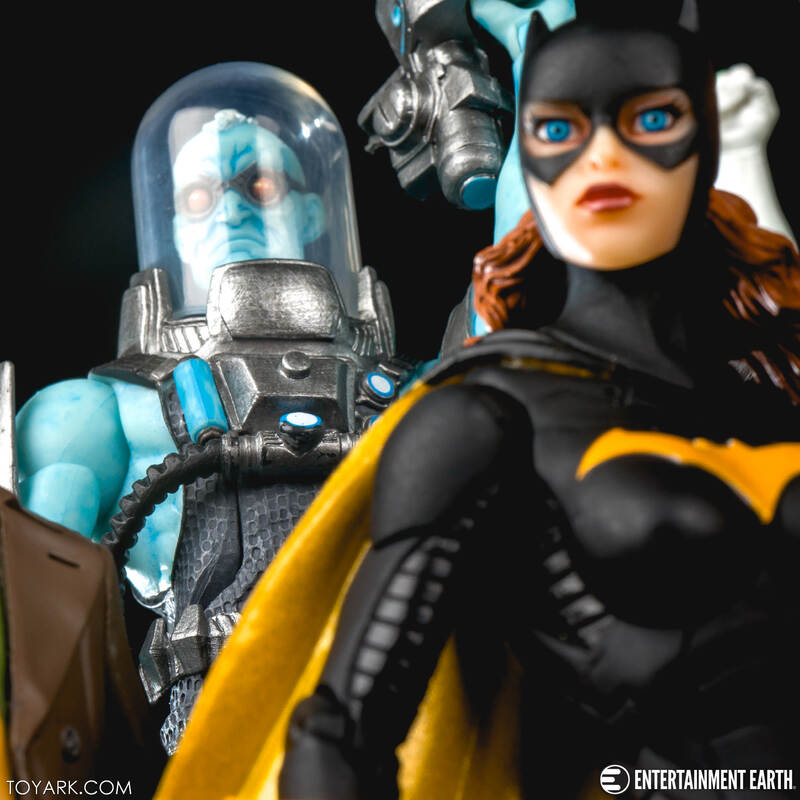 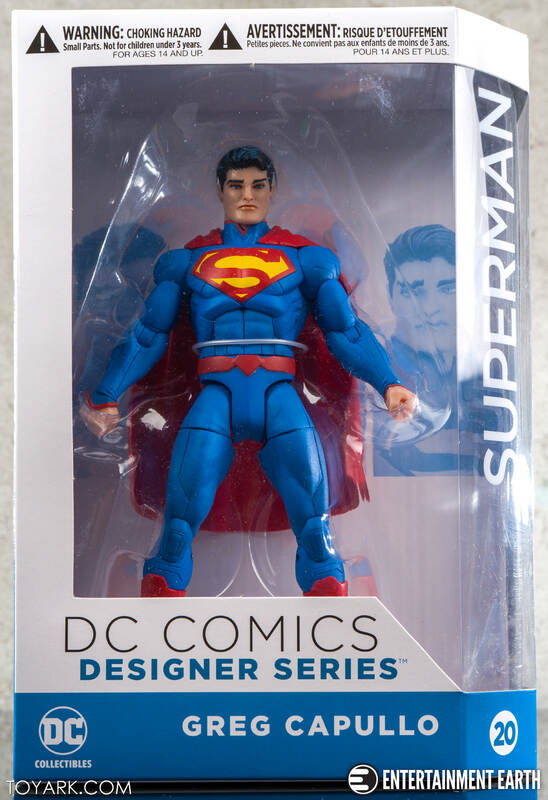 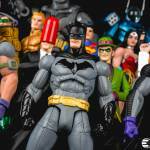 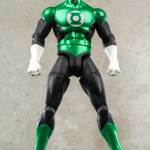 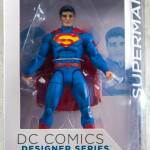 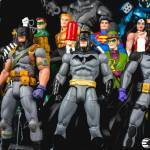 The Designer Series is a great base level for an ongoing DC Universe line. But, it’s not perfect. 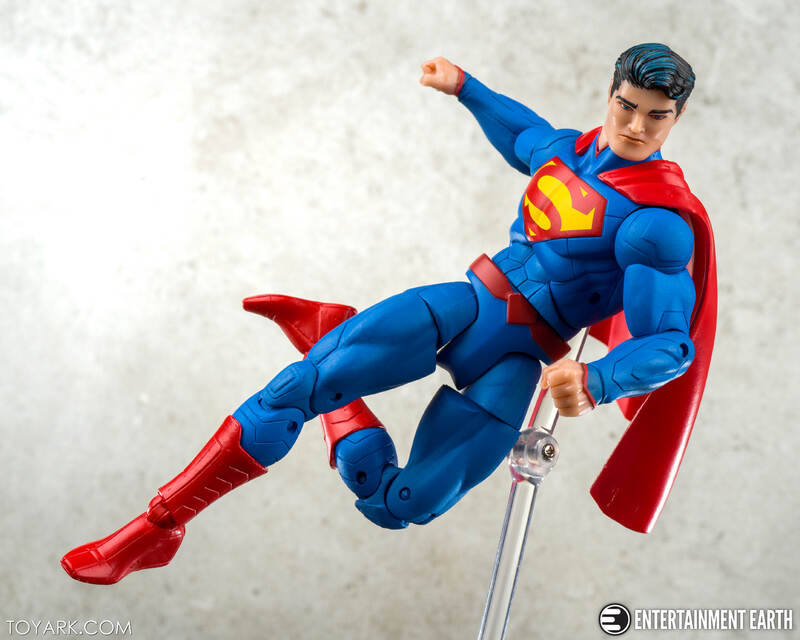 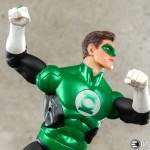 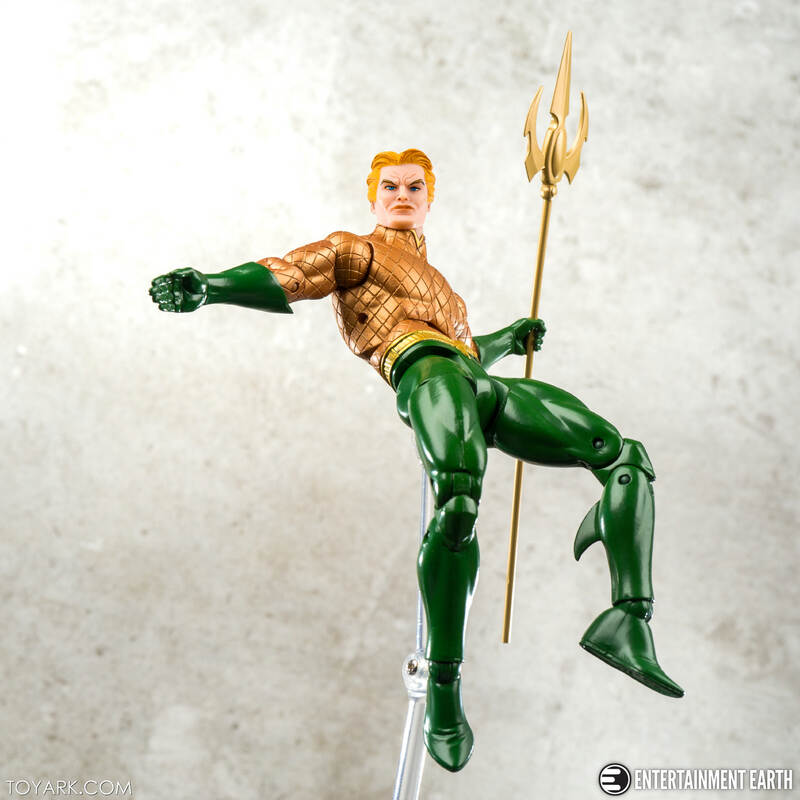 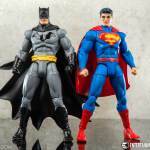 These upped articulation at the time they were initially released for DC Collectibles. 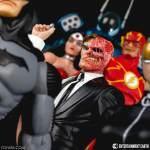 So it was welcome. 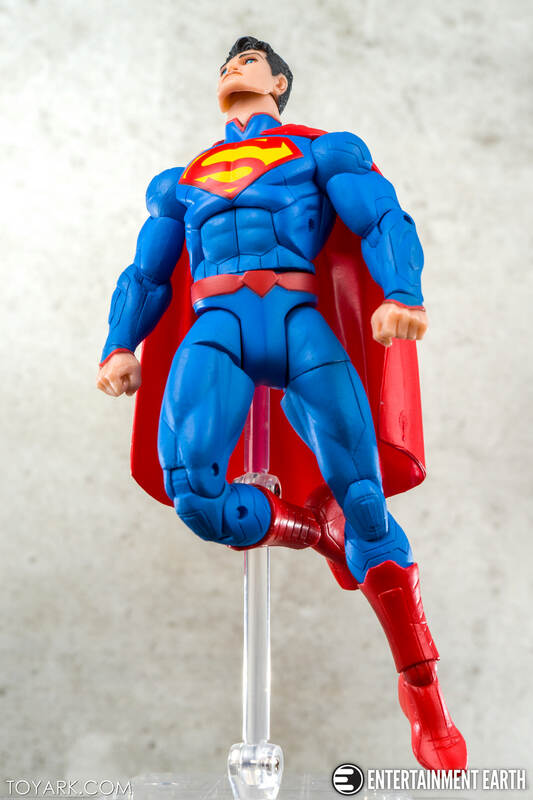 It however, needs some work. 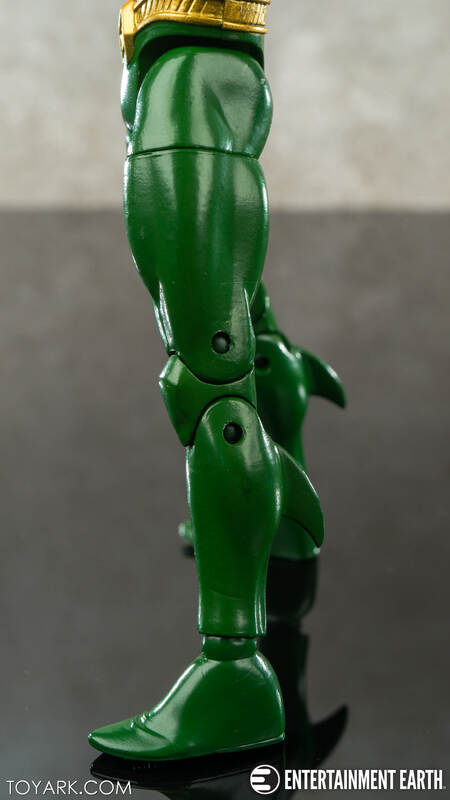 The legs are all sculpted into forced wide-stance mode. 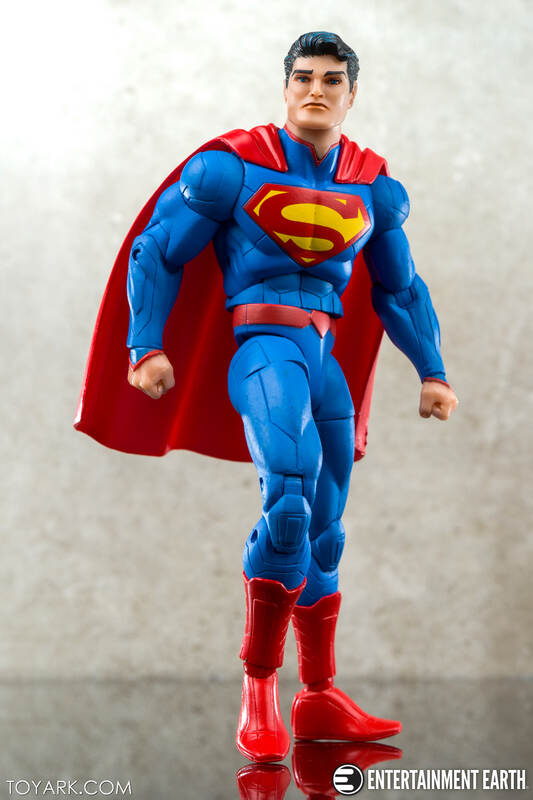 On top of that, they do not have rocker ankles. 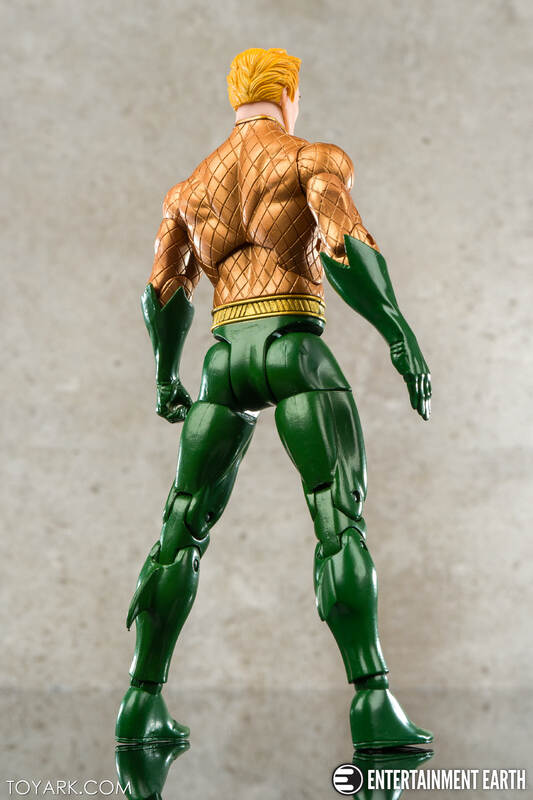 Only front/back, no side rock. 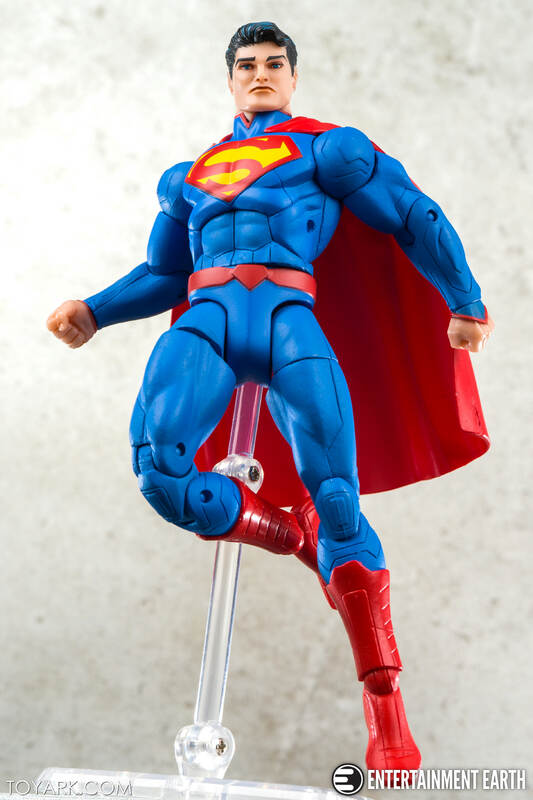 So, in most cases, they are standing on their foot edges, there is no flush foot to floor action. 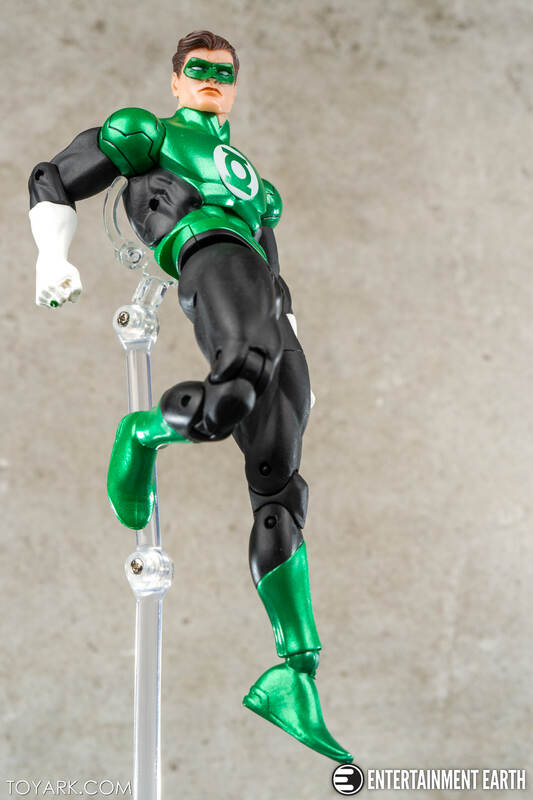 If you have a loose hip, these guys will slide into a split and domino your whole setup. 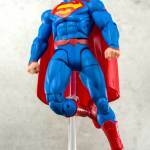 The females suffer from similar foot and balance issues. 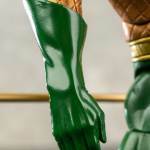 Arms – single joint elbows. 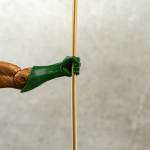 Double that up like the knees. 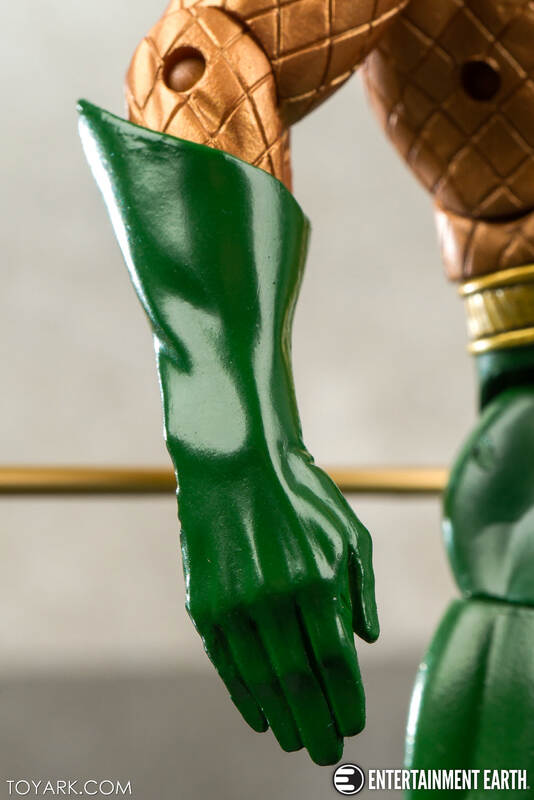 Wrists – many omit wrist articulation completely, opting for a forearm swivel. 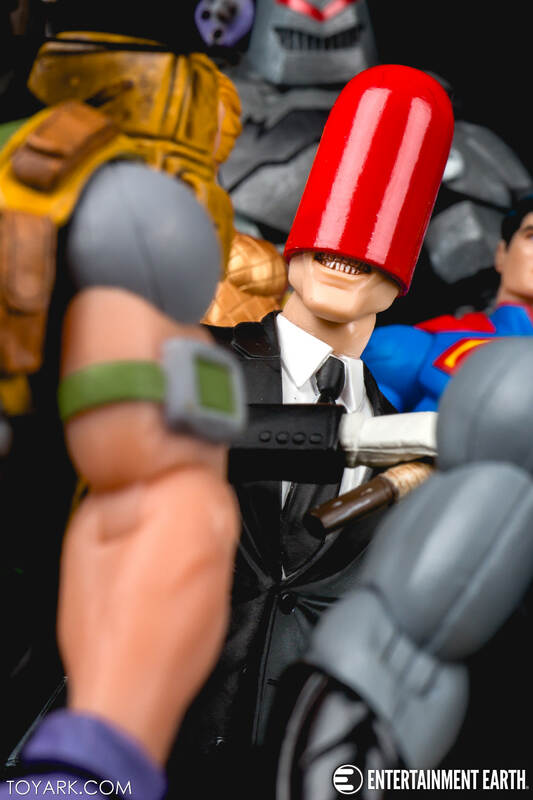 No good. 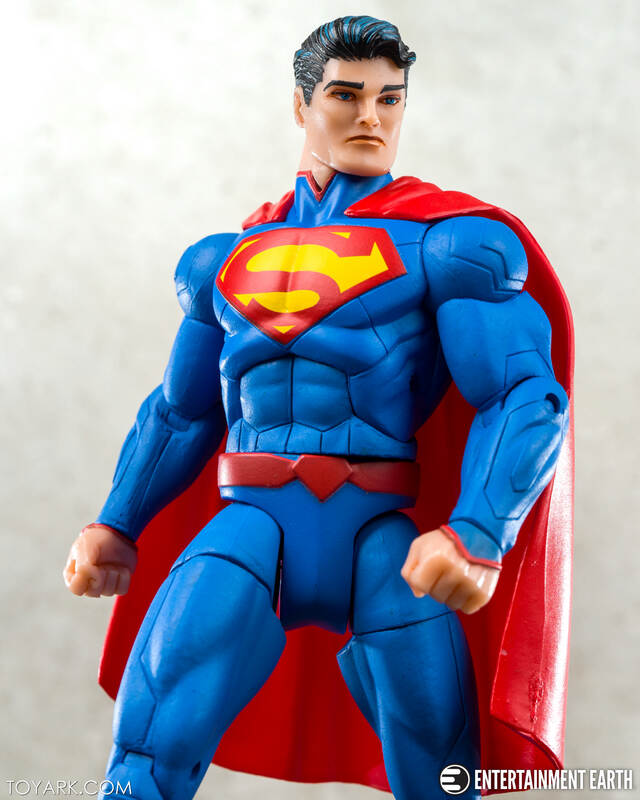 But, these issues are all fixable. 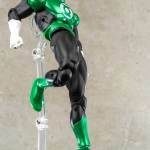 Close the leg gap slightly, full rocker ankles, double joint the elbows, ensure wrist articulation. 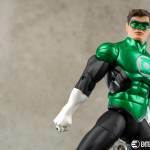 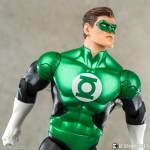 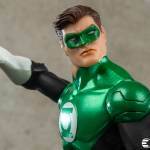 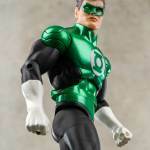 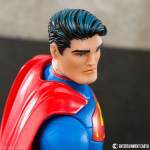 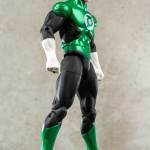 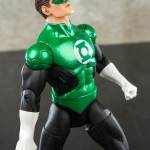 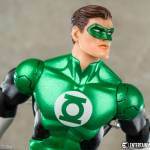 You do that, keep this bulky cut, and THAT is what DC Icons should be. 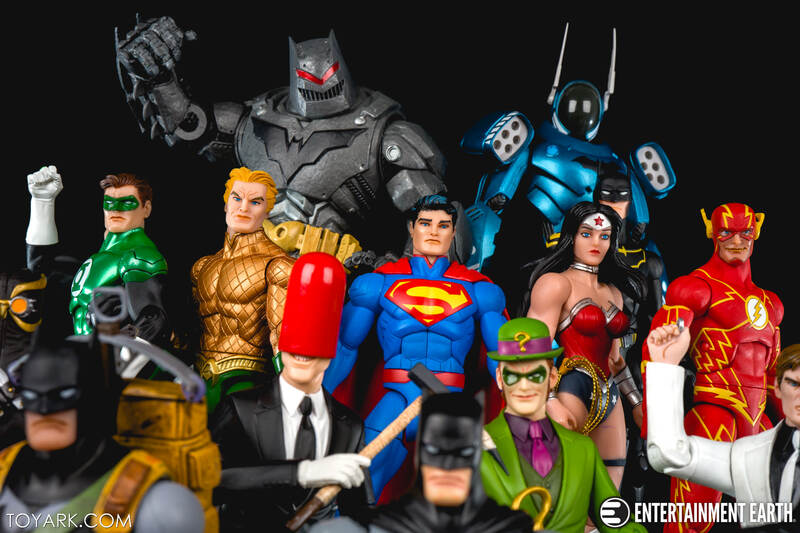 What an ongoing best of the best line could be. 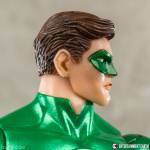 Of course, more traditional head sculpts should be used rather than Capullo specific. 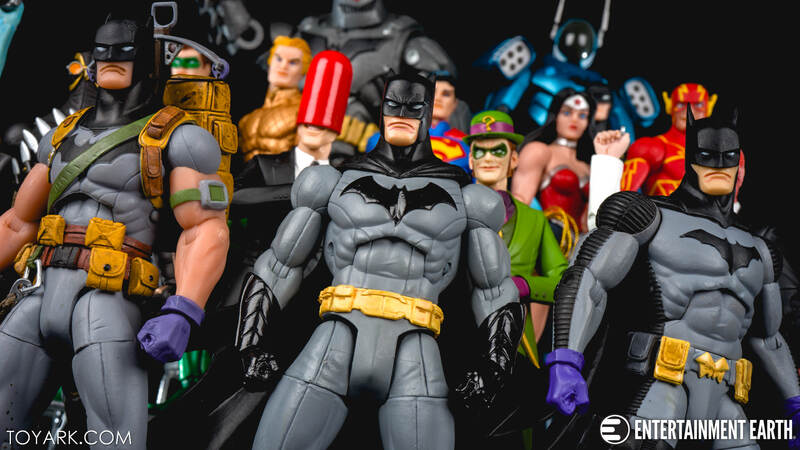 If you look at the first Batman, that could be a general purpose Batman, it’s not Desginer in nature for the most part. 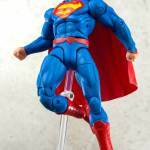 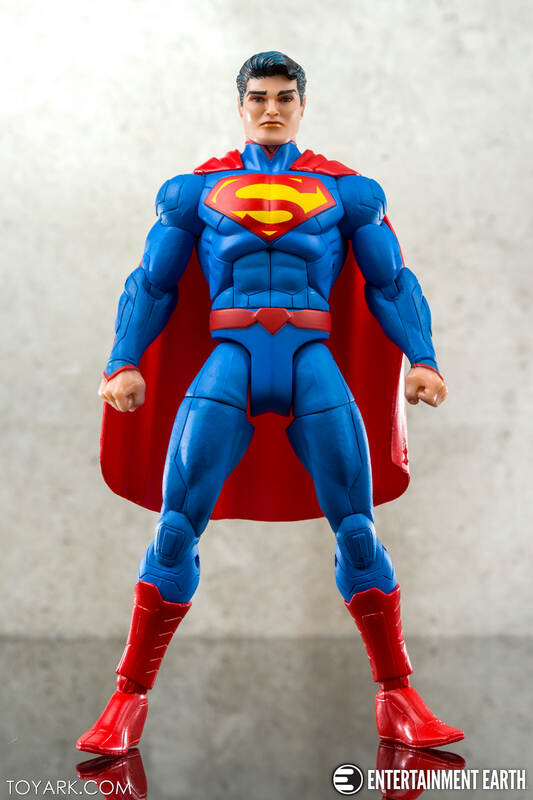 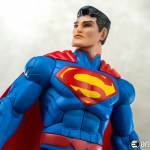 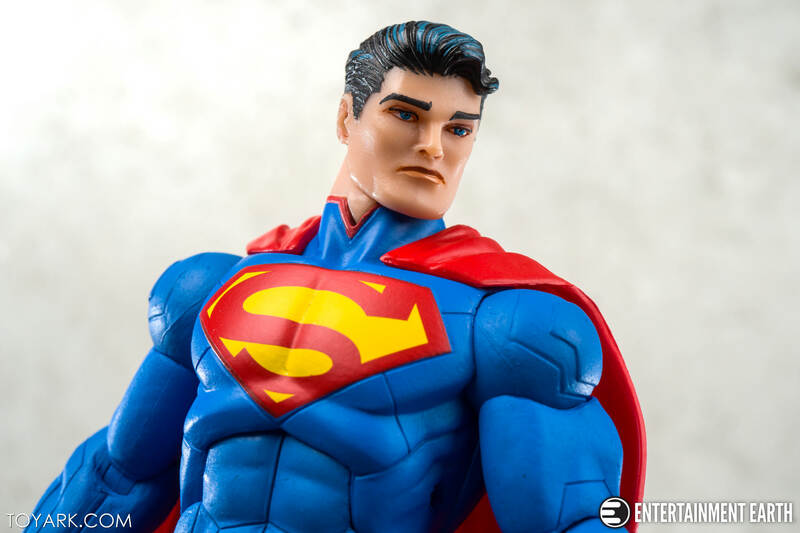 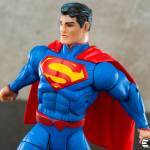 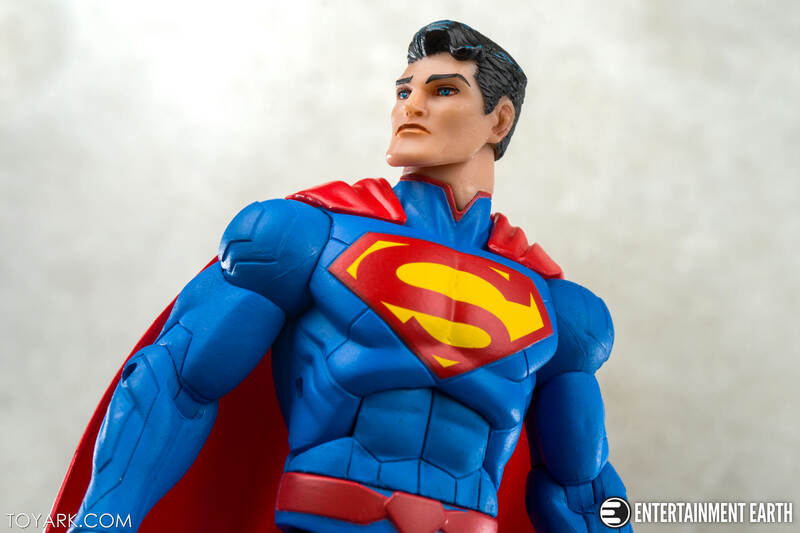 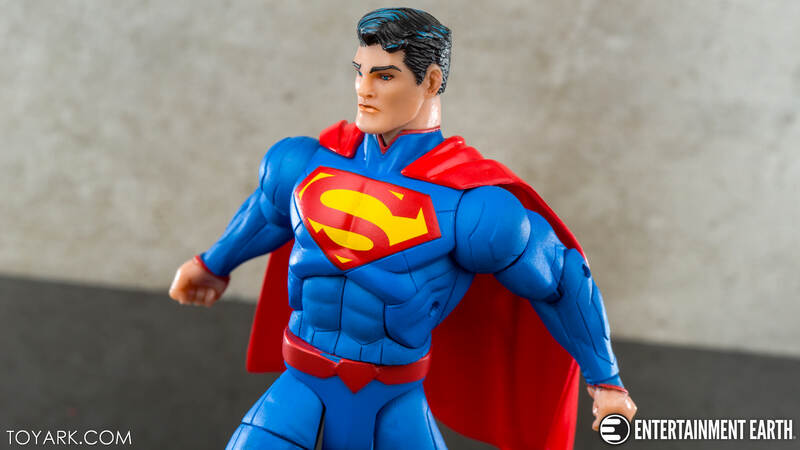 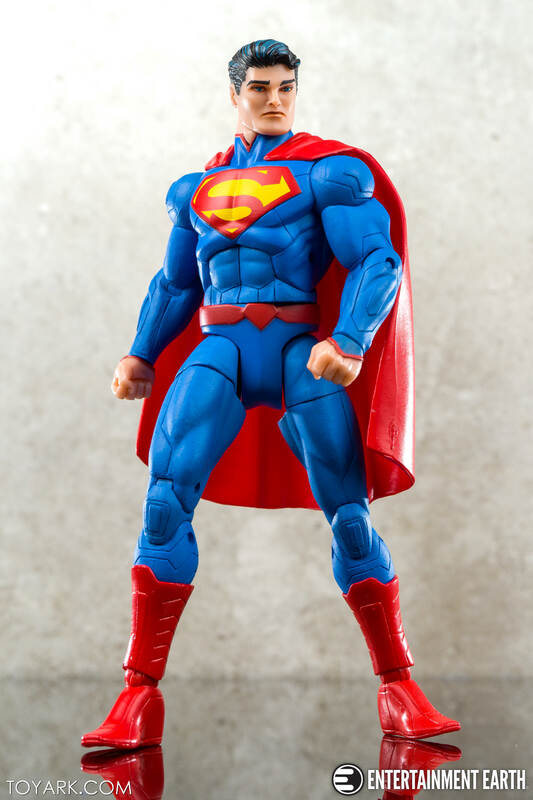 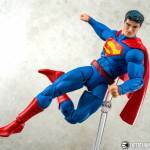 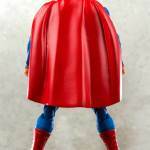 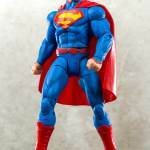 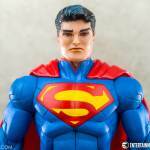 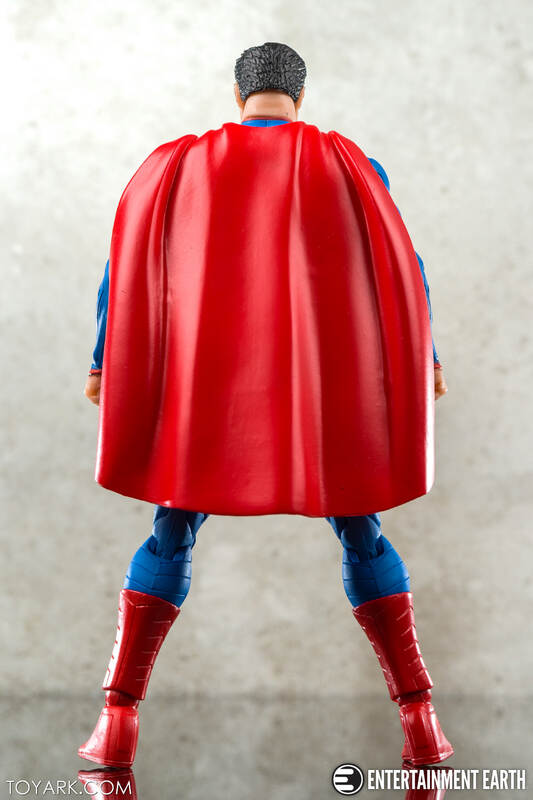 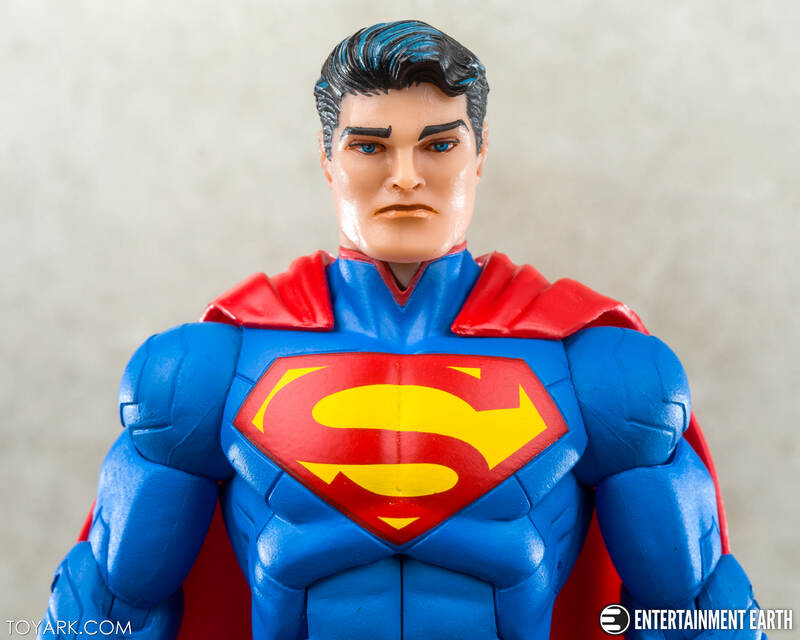 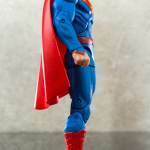 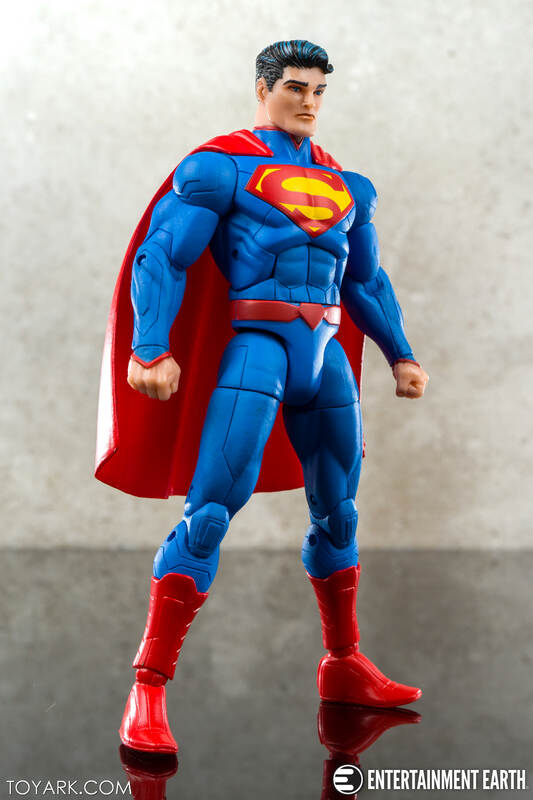 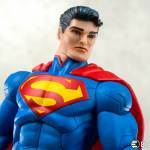 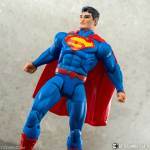 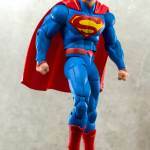 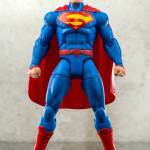 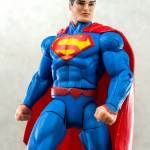 Superman however, looks very Designer, he’s overly stocky, short arms, short cape. 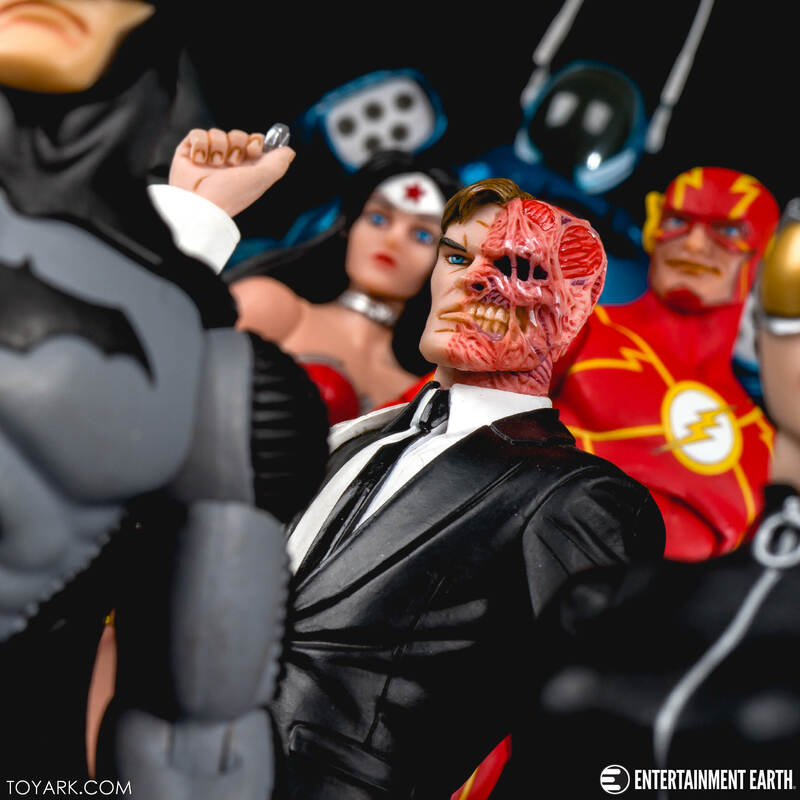 Avoid that, shoot for more of the first Batman style, and you have a winner. 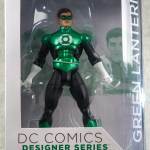 This is just the ranting of one fanboy though, I’m not holding my breath. 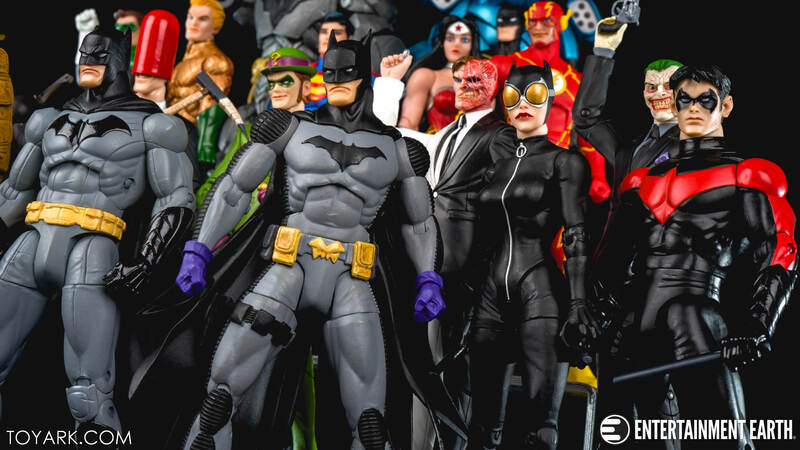 :) This line was great for what it was and I’m happy to have them. 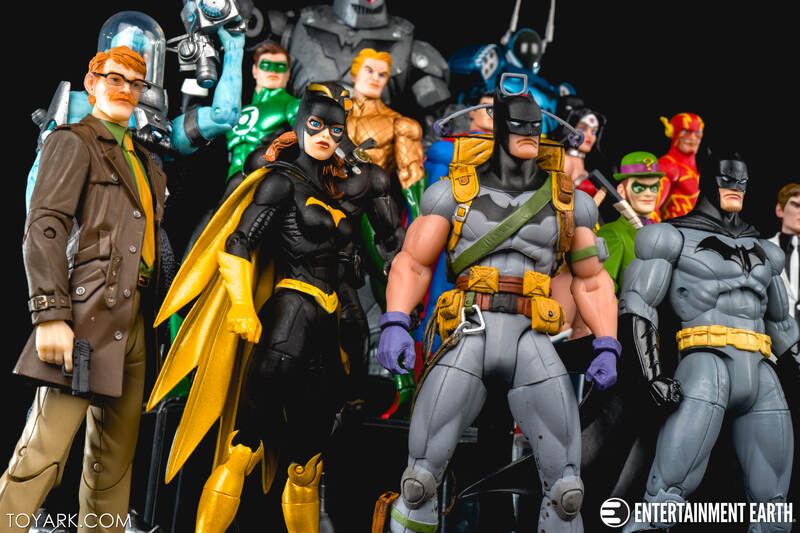 There are some great pieces and they enjoy top billing on my shelves, and will for years to come. 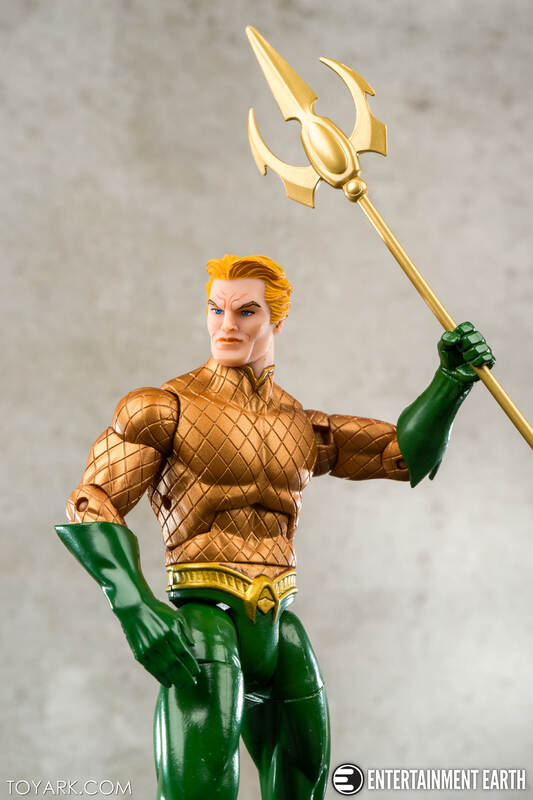 That’s 2+ more waves if they wanted. 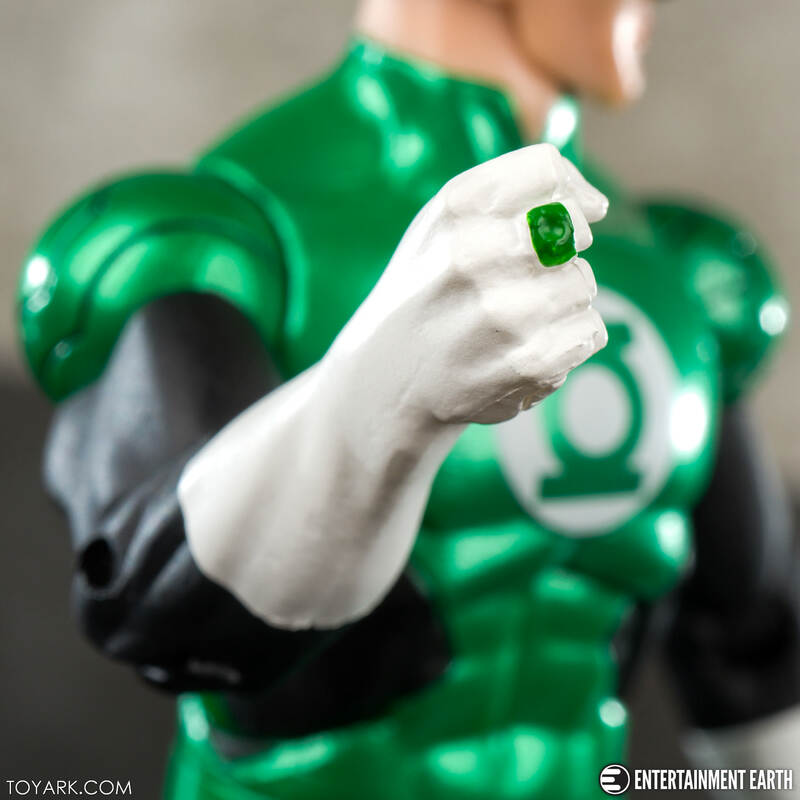 Bring it on DC Collectibles! I would love to see more of this line, I love it. 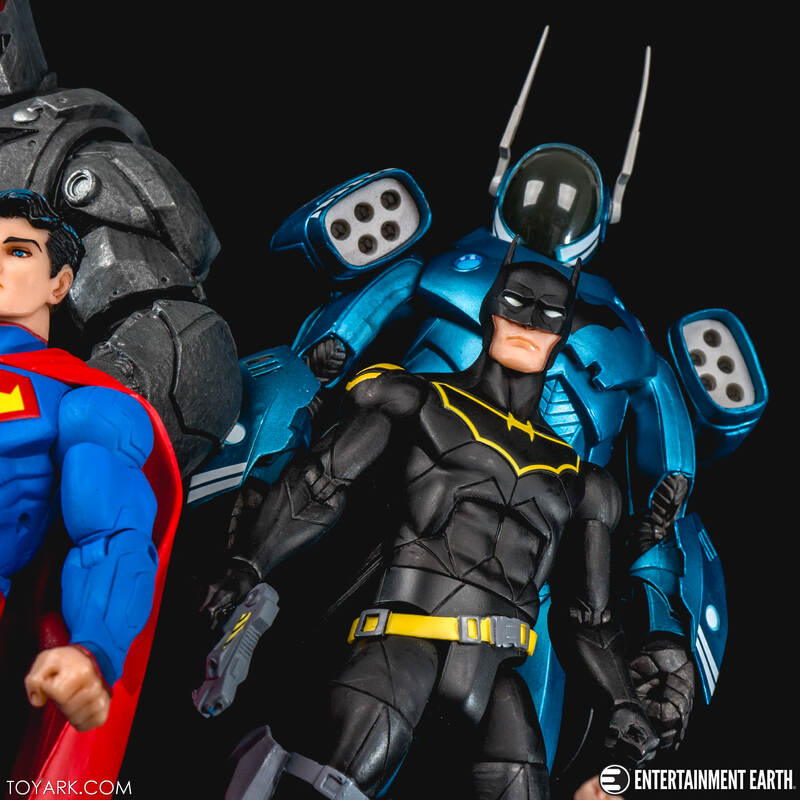 It would also be cool to see some JRJR stuff, from Superman and All-Star Batman. 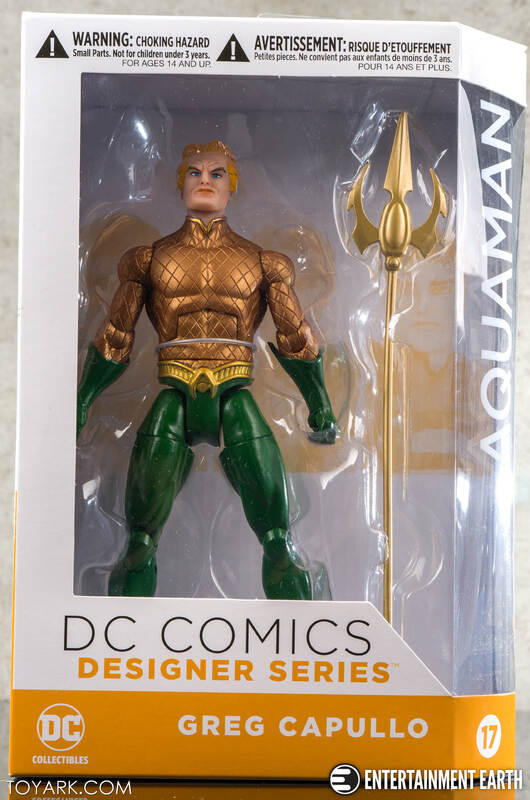 I like his artwork. 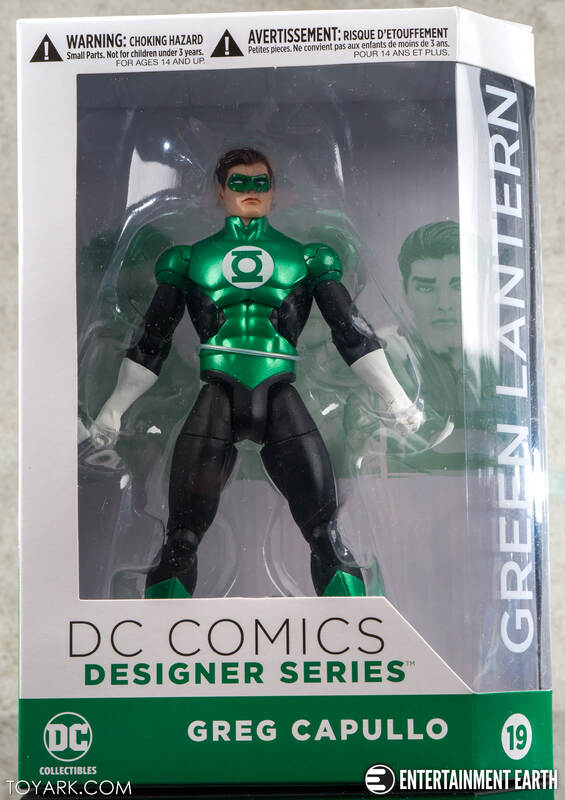 I haven't personally dug the other Designer Series sub-lines so far, other than Bombshells. 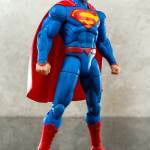 I have them coming soon. 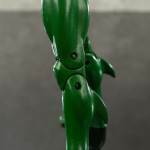 So they will fill my Capullo void for a bit. 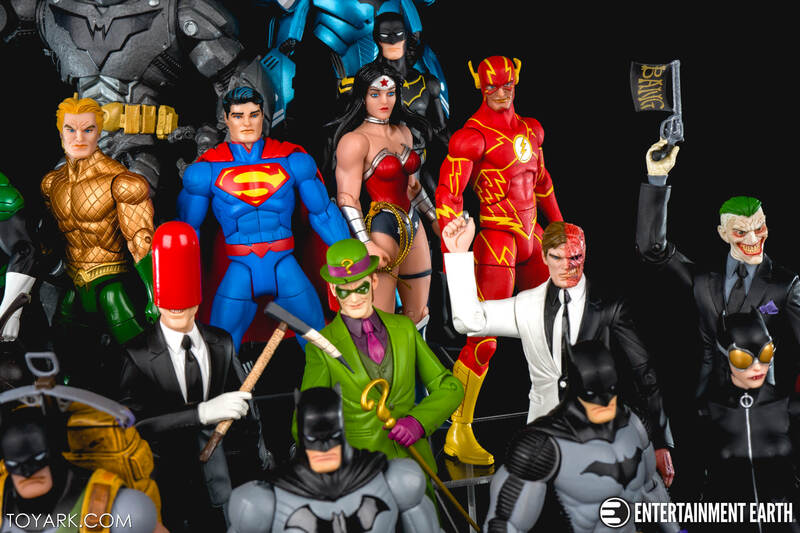 Not a huge fan of the face sculpts on any of the JL characters here. 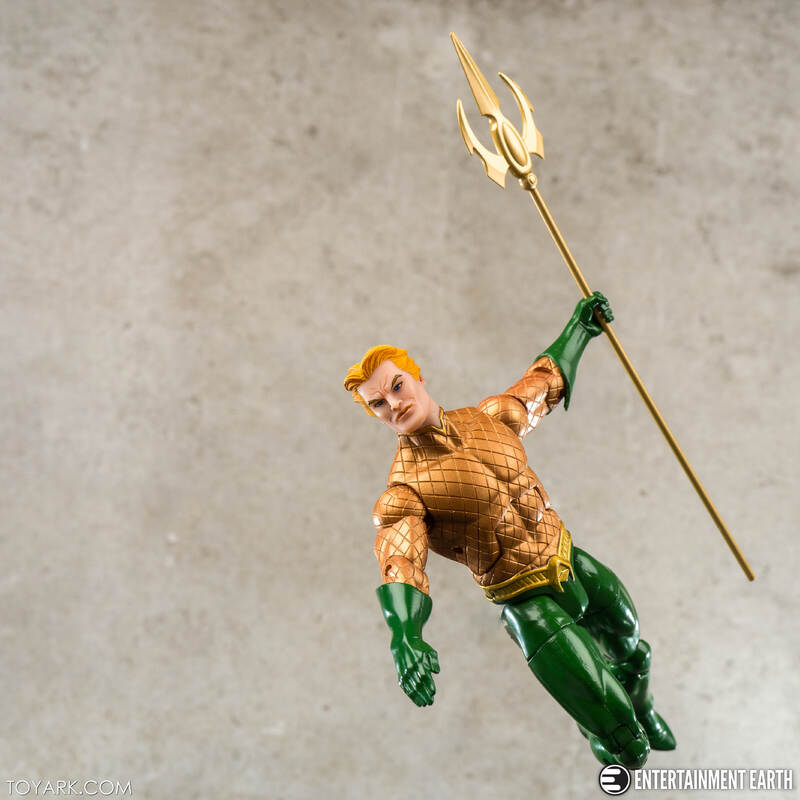 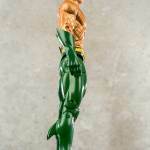 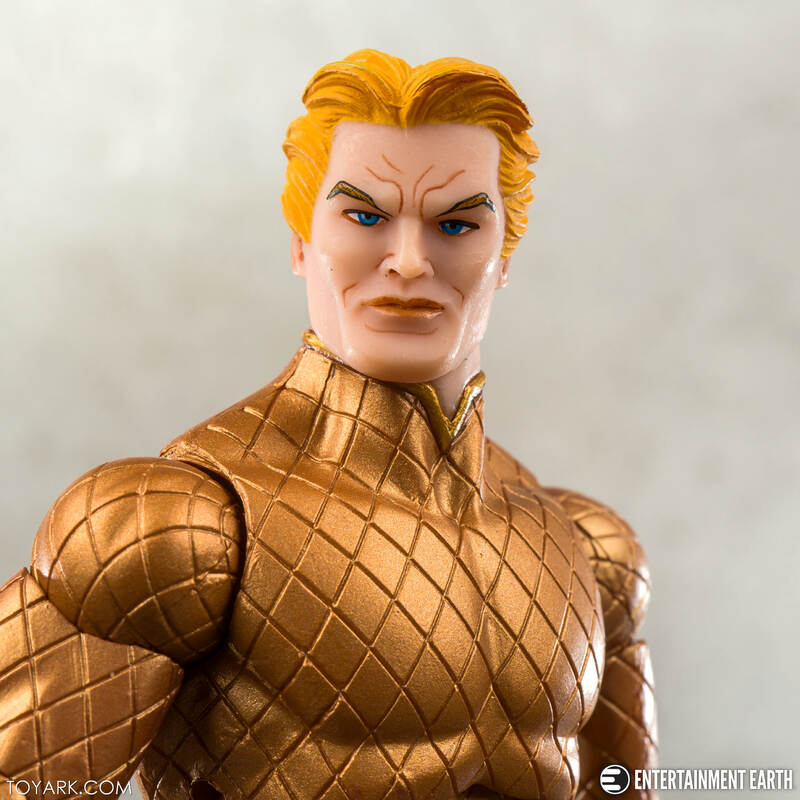 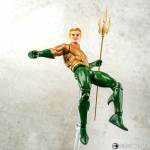 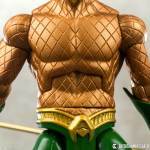 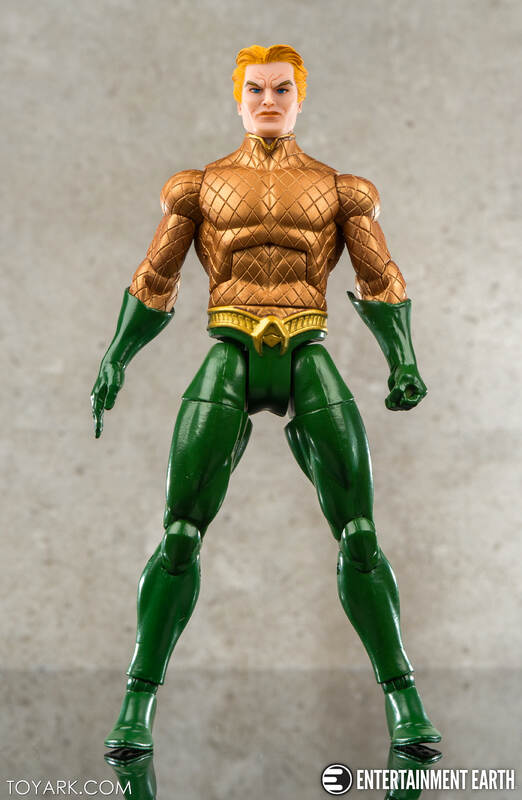 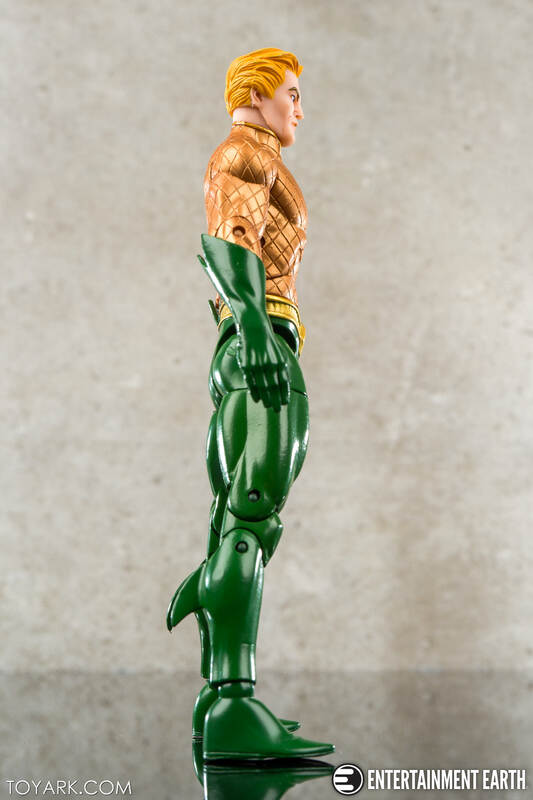 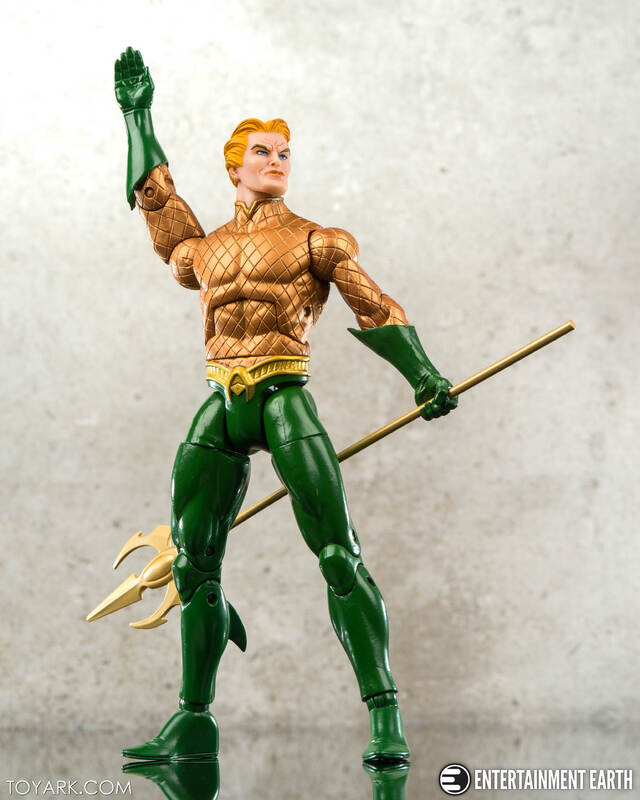 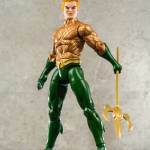 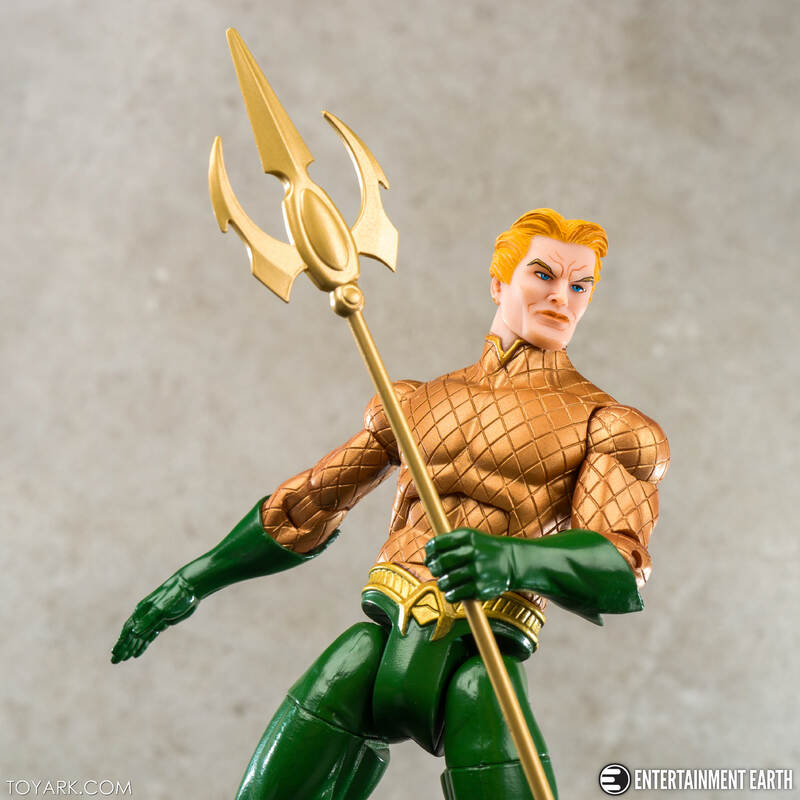 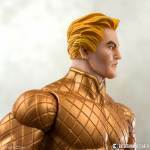 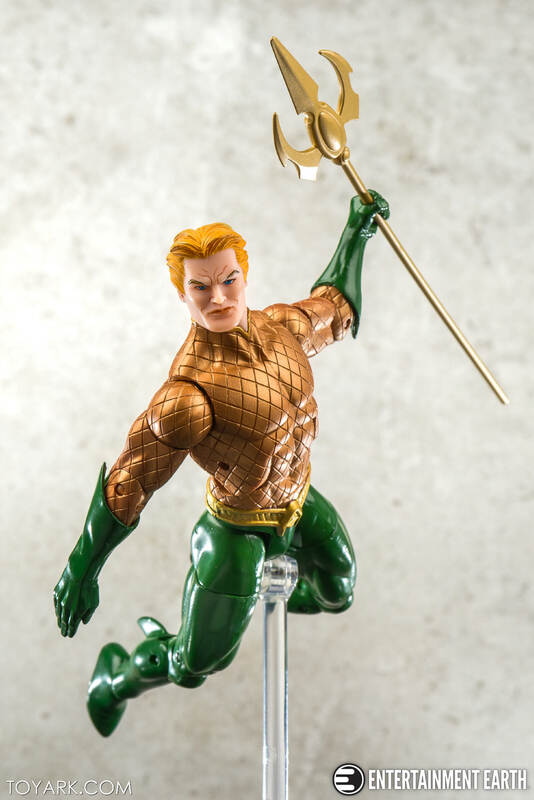 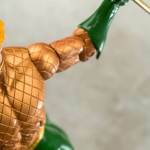 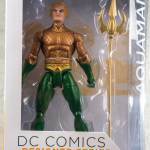 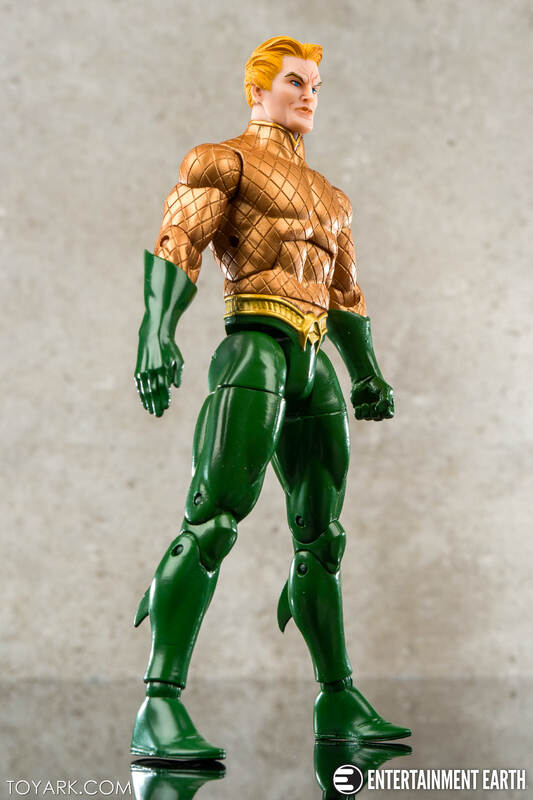 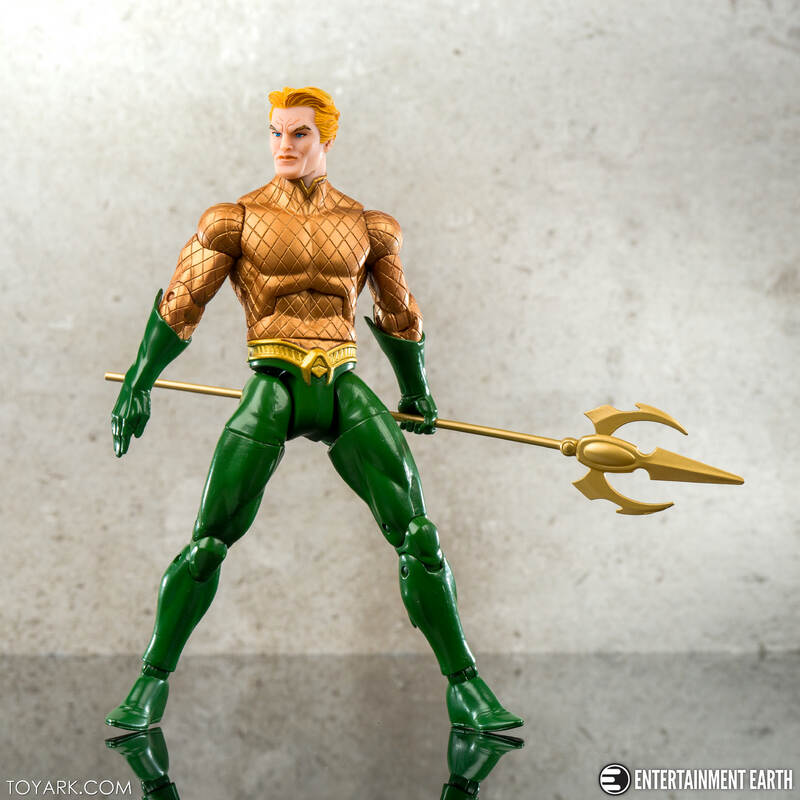 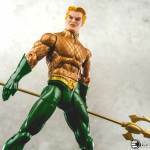 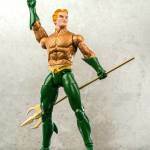 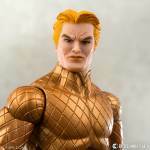 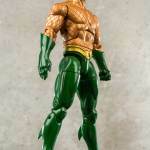 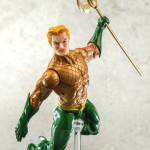 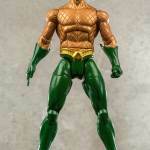 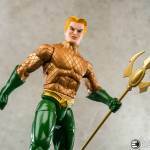 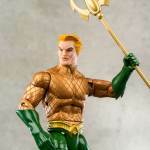 The body on Aquaman otherwise is pretty good, nice paint.